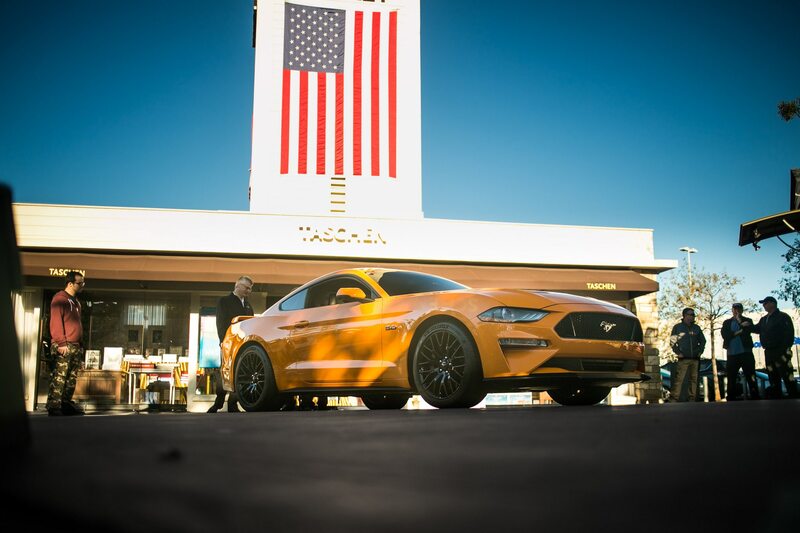 Farewell, V-6 Mustang, we knew you entirely too well. 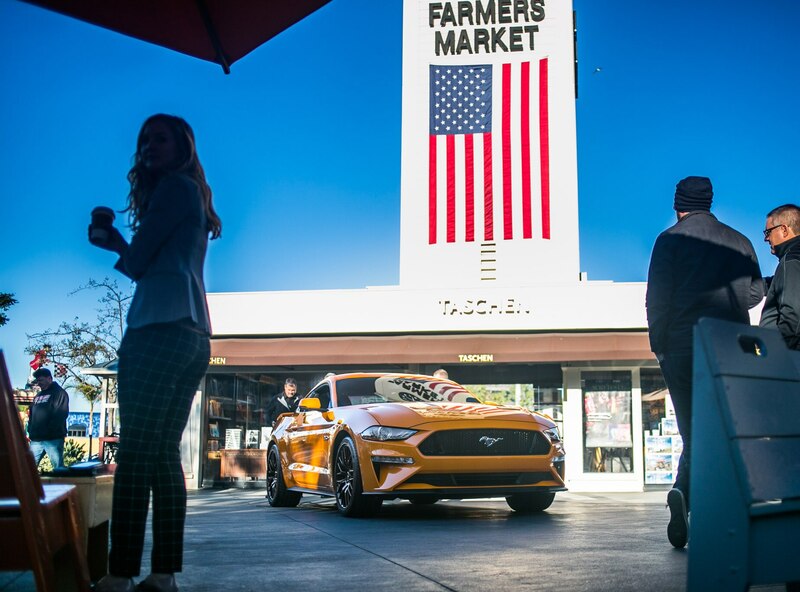 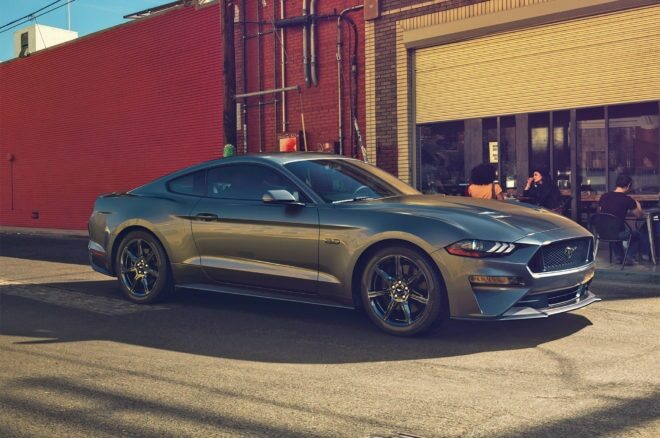 For 2018, Ford performed a nip/tuck on its perennial sports coupe, giving it a new face, suspension, transmission, and a revised powertrain lineup. 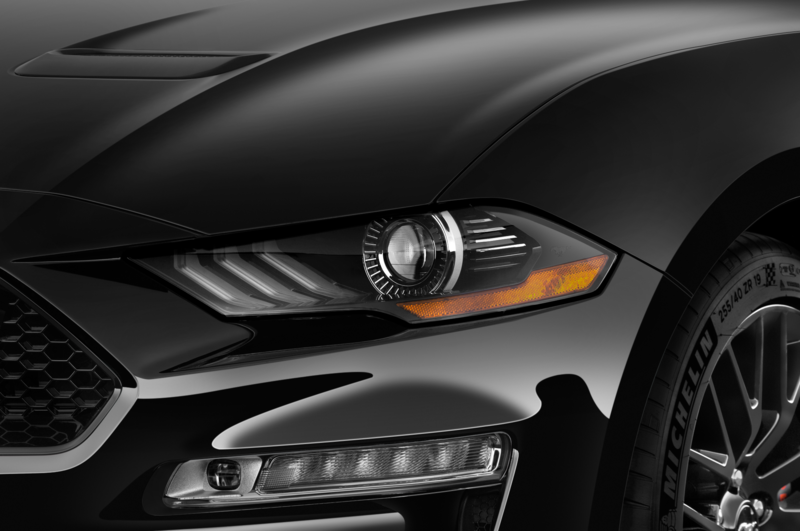 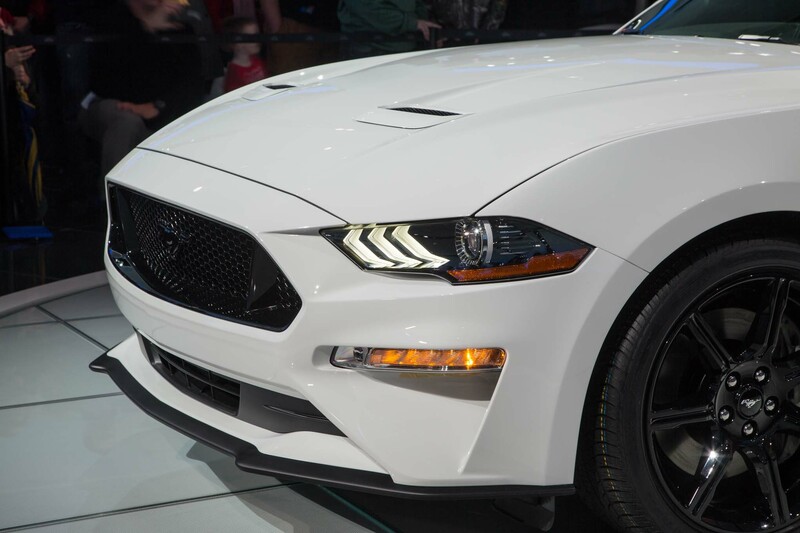 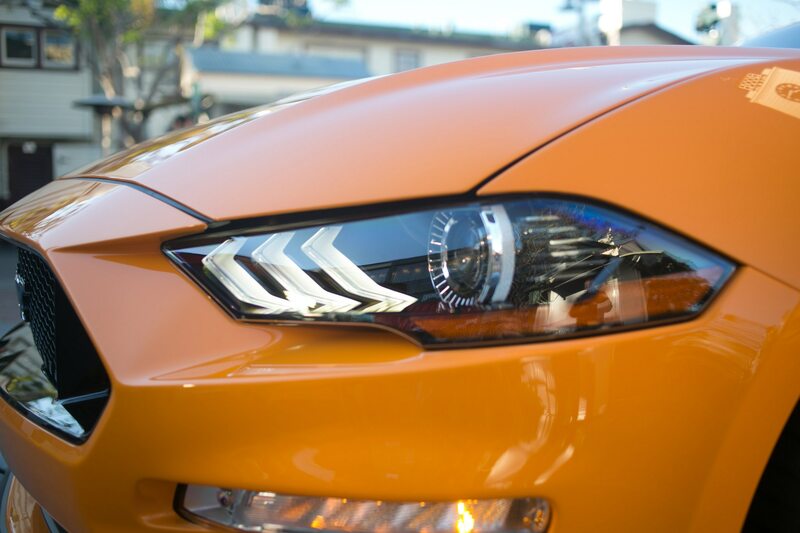 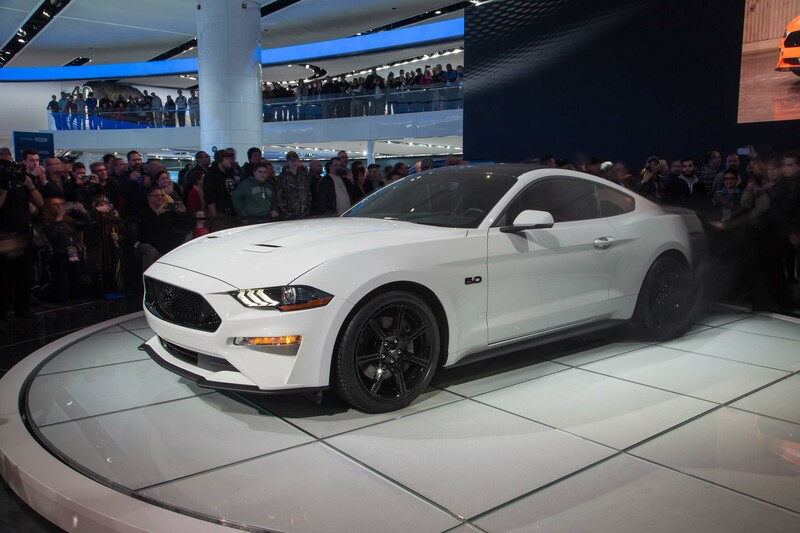 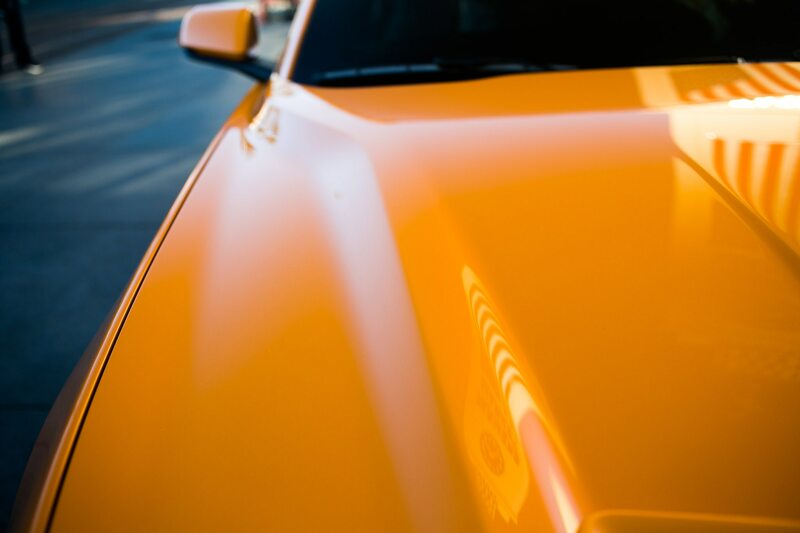 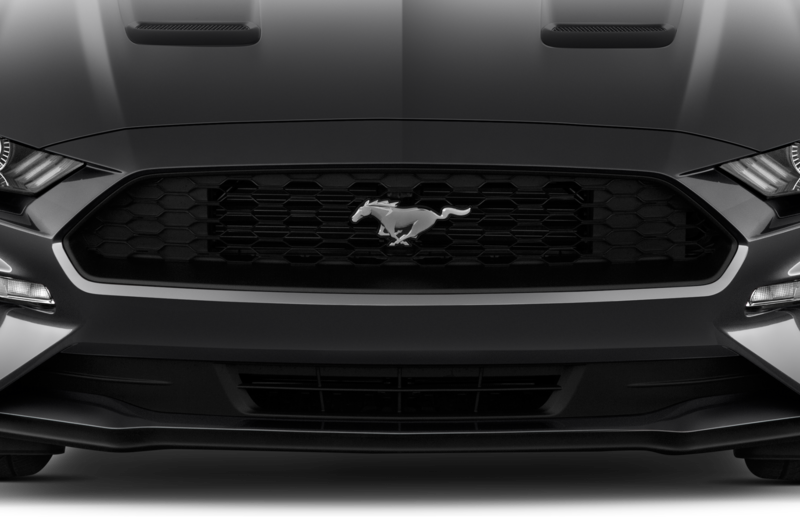 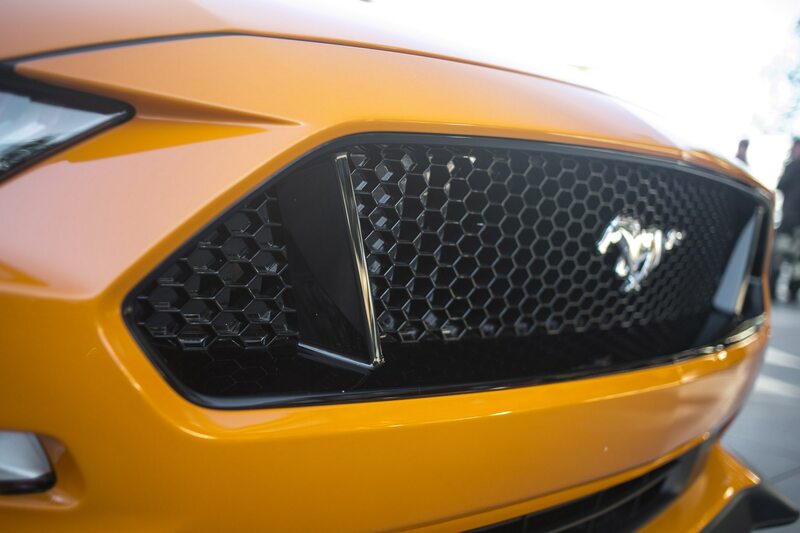 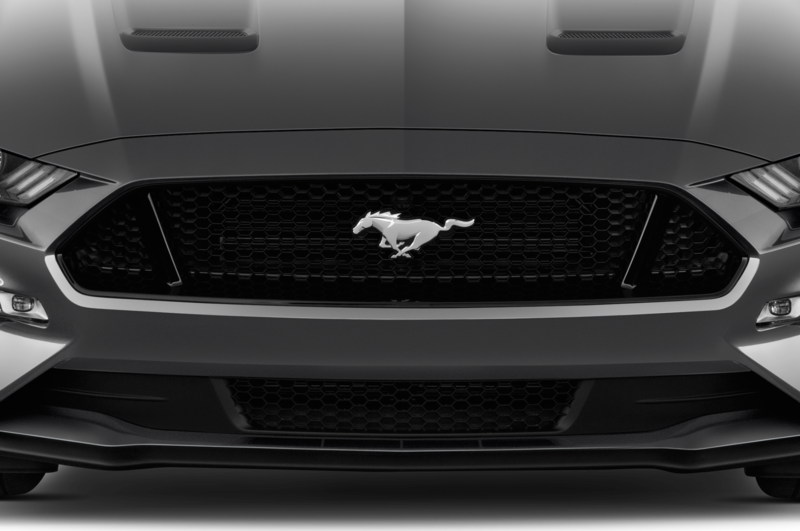 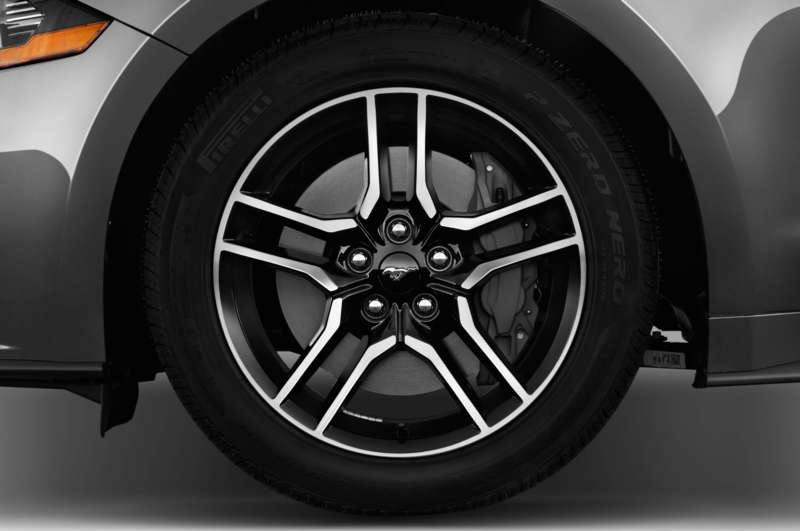 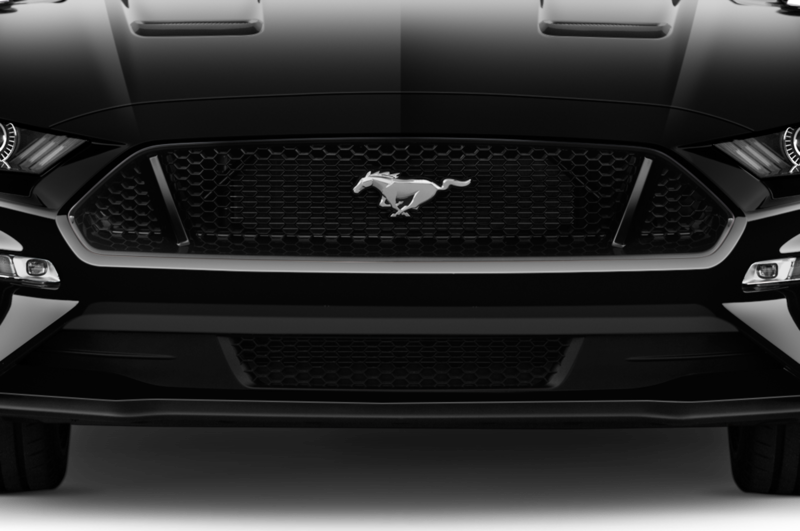 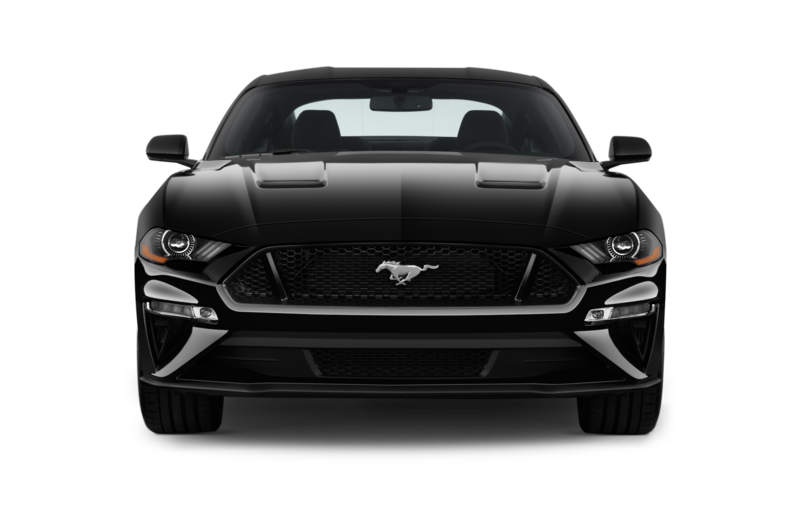 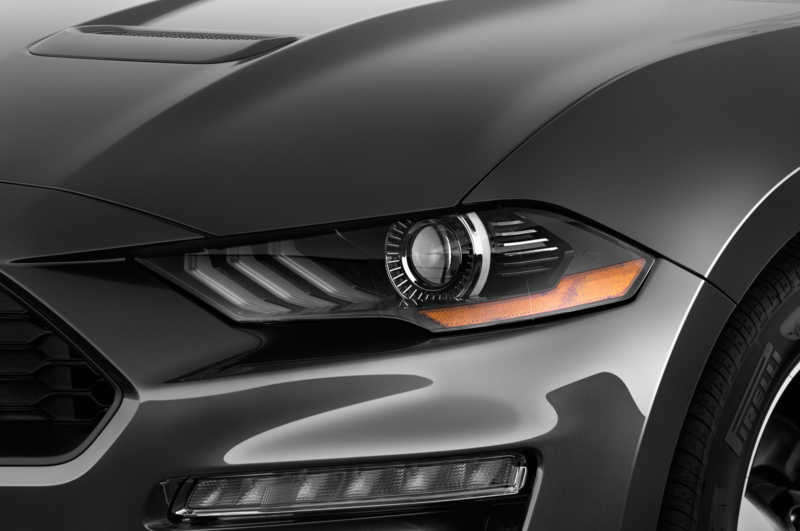 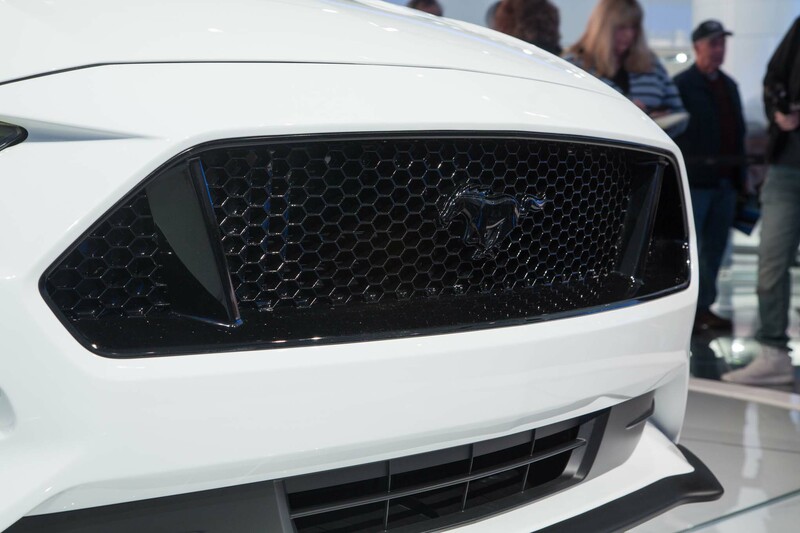 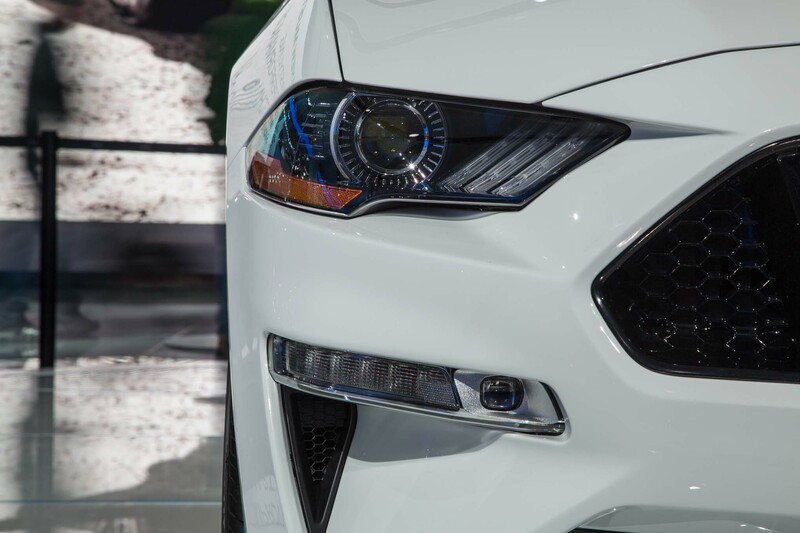 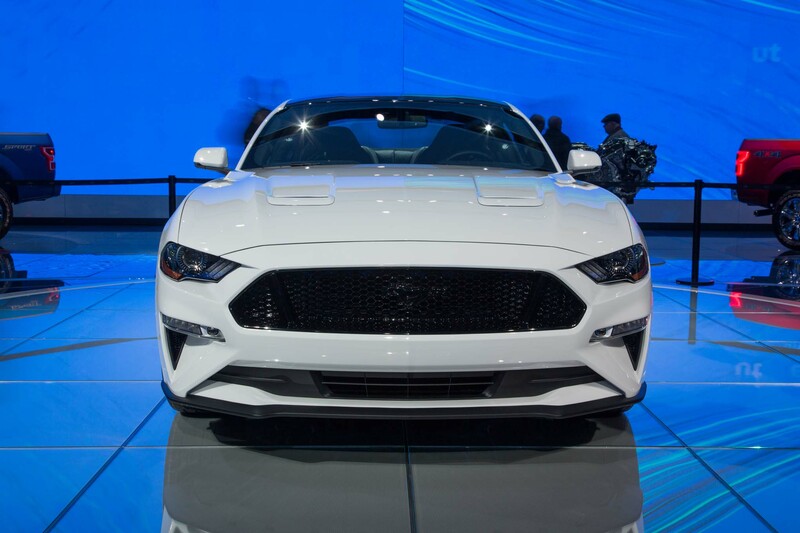 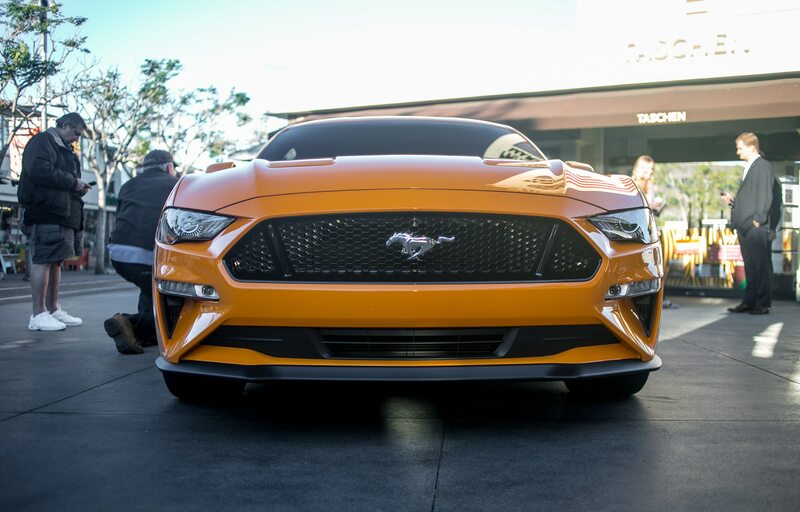 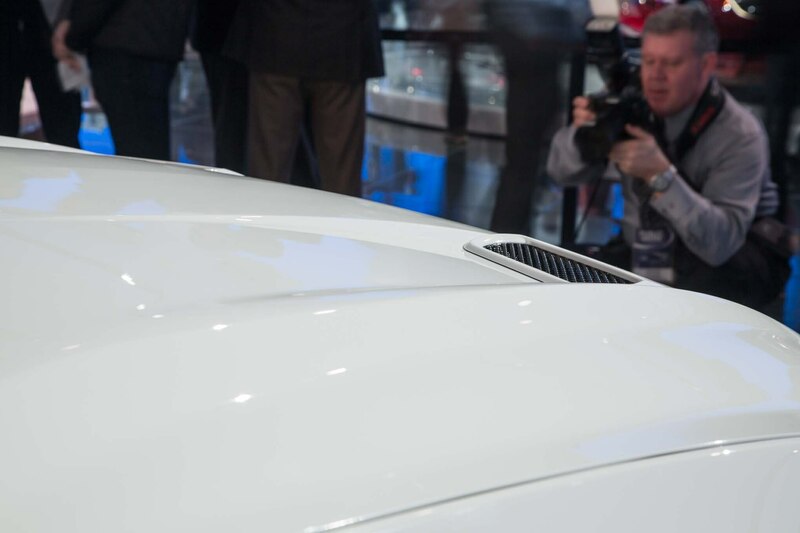 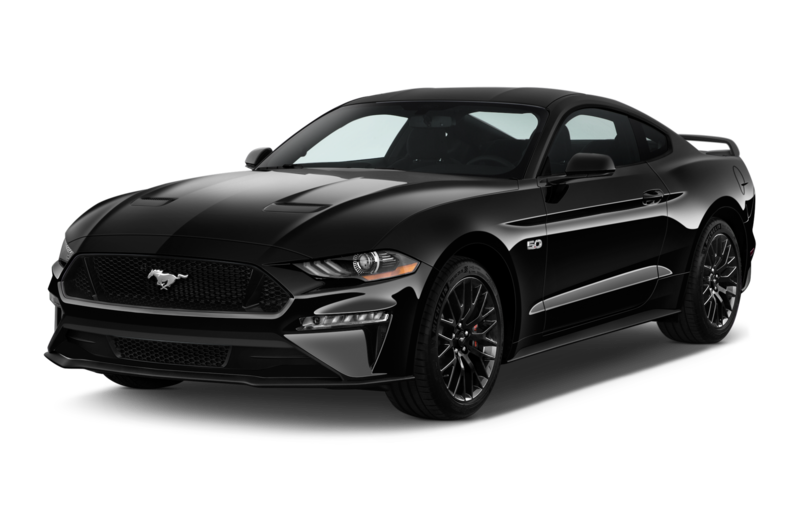 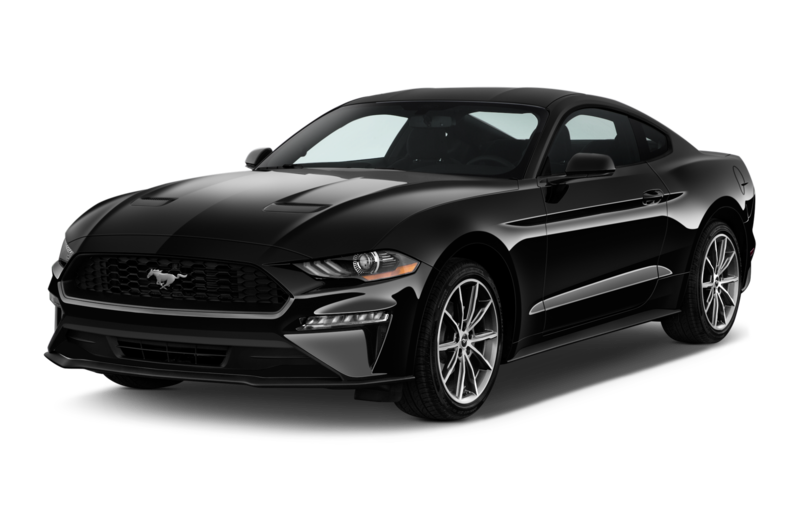 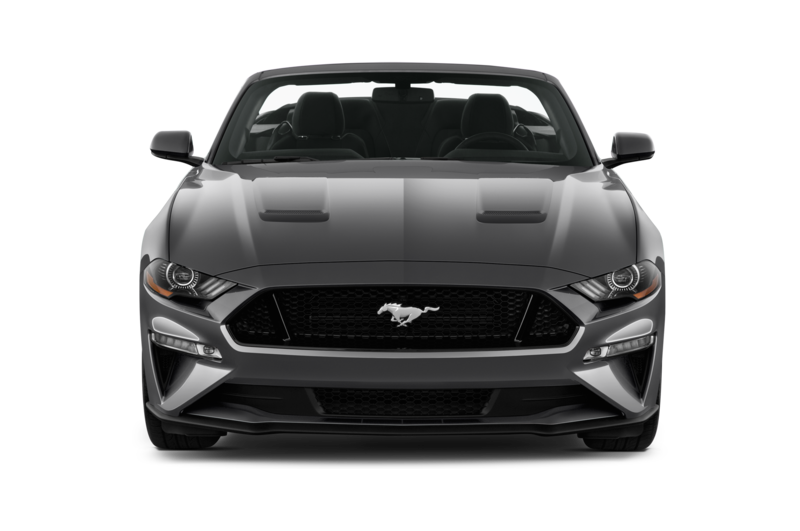 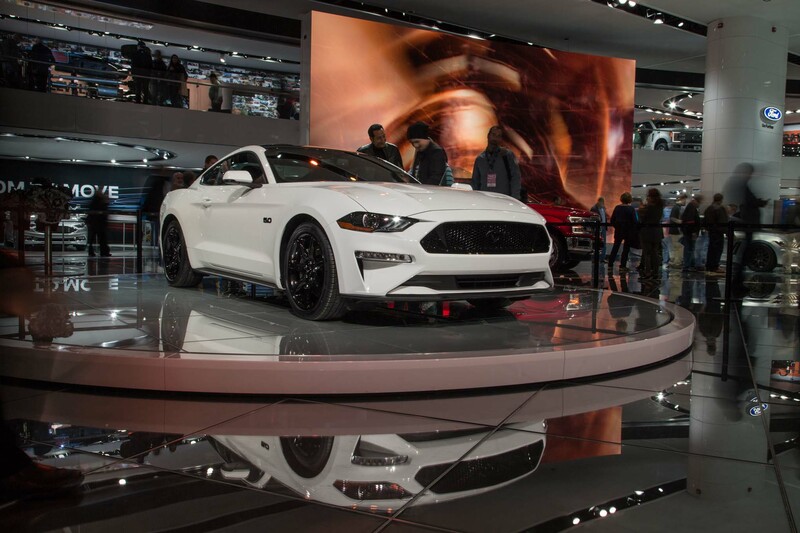 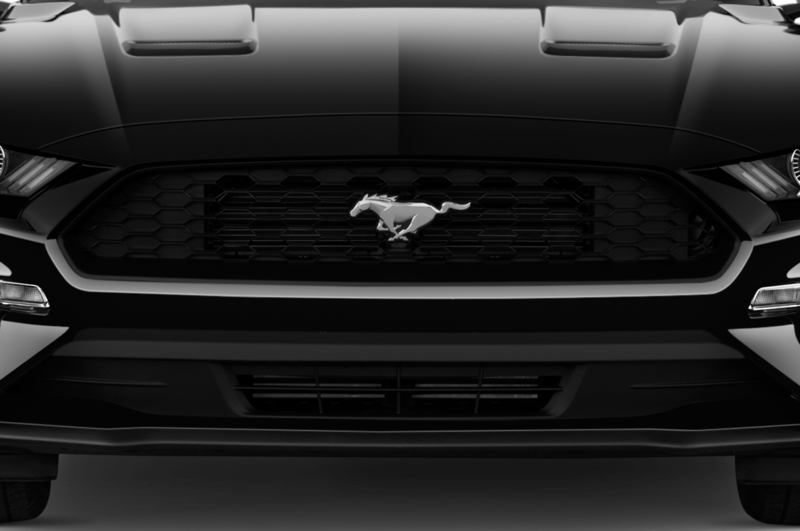 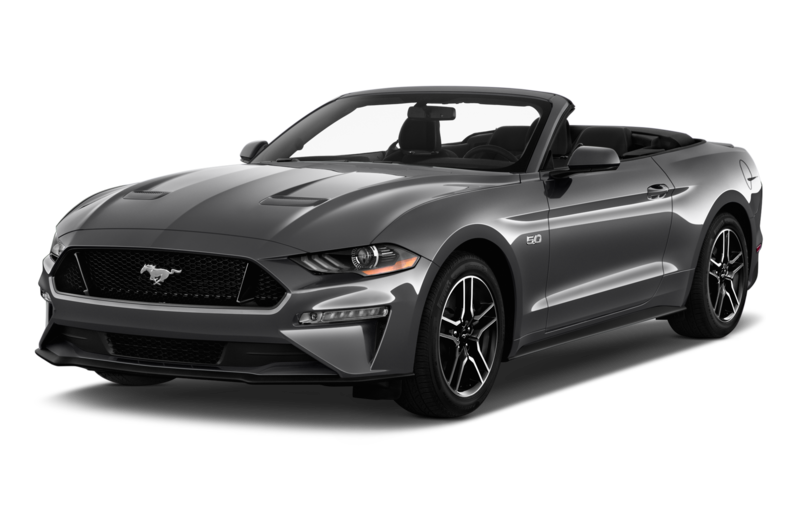 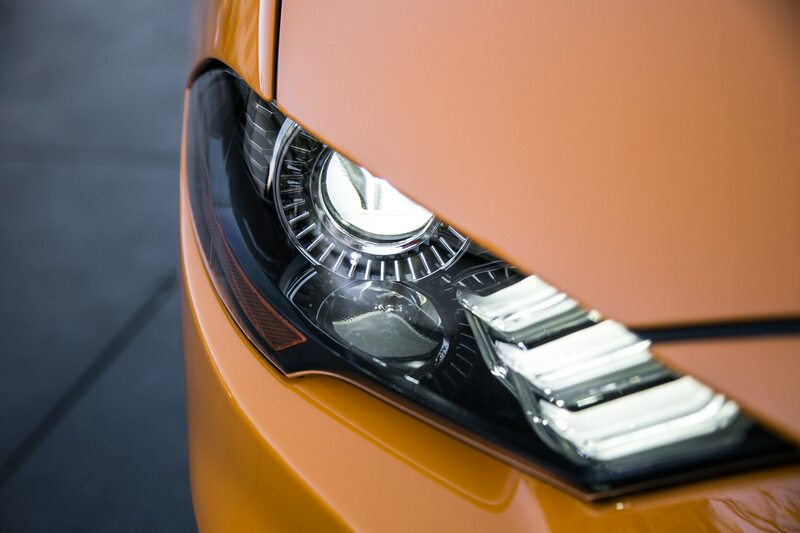 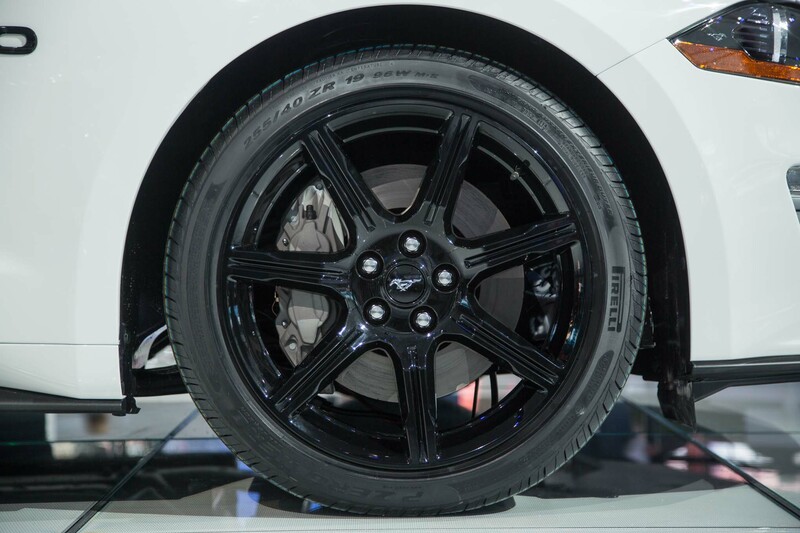 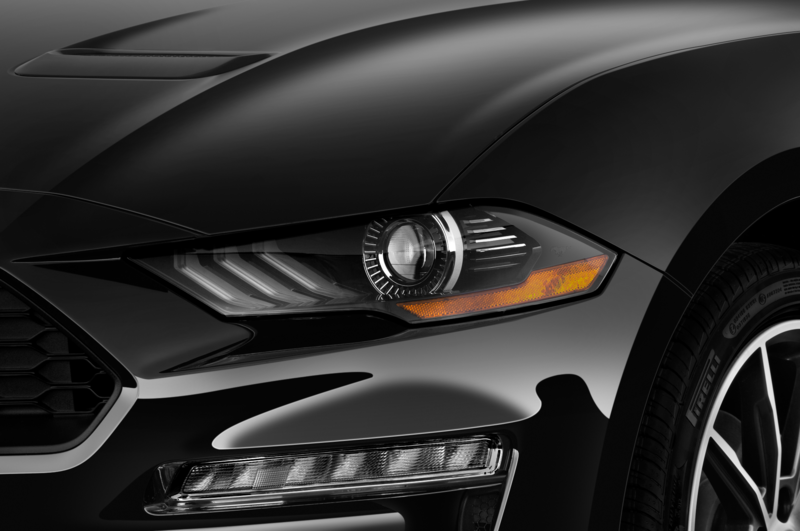 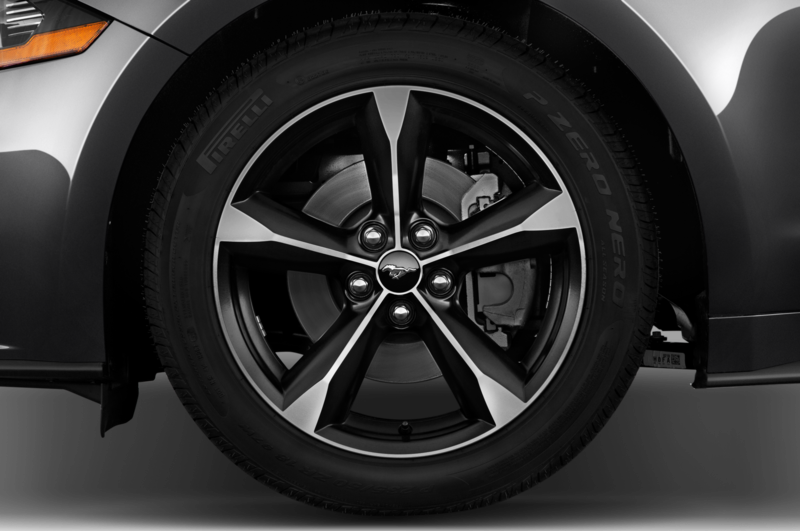 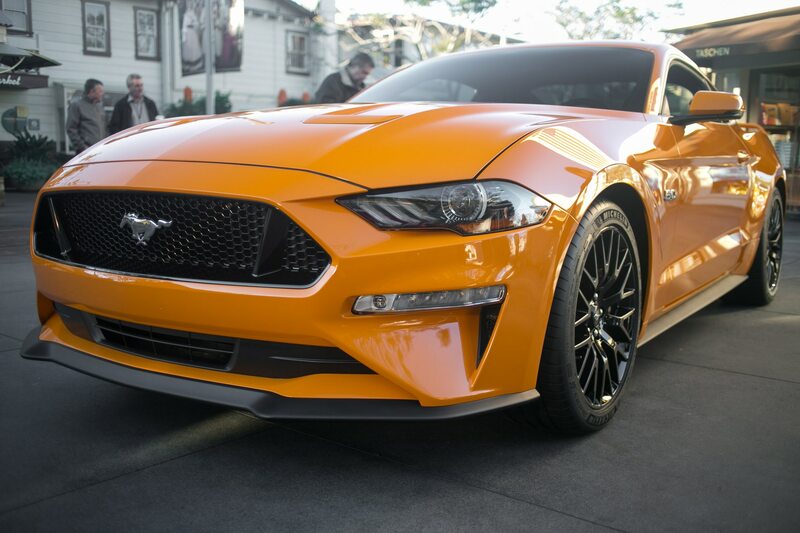 Visually, the front schnoz of the Mustang is dropped down a bit to streamline the appearance, incorporating slimmer headlights and a more angular lower front bumper. 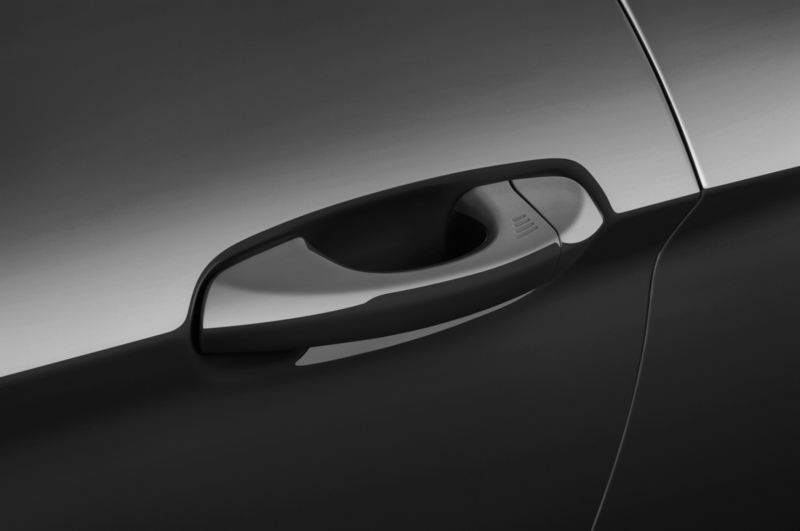 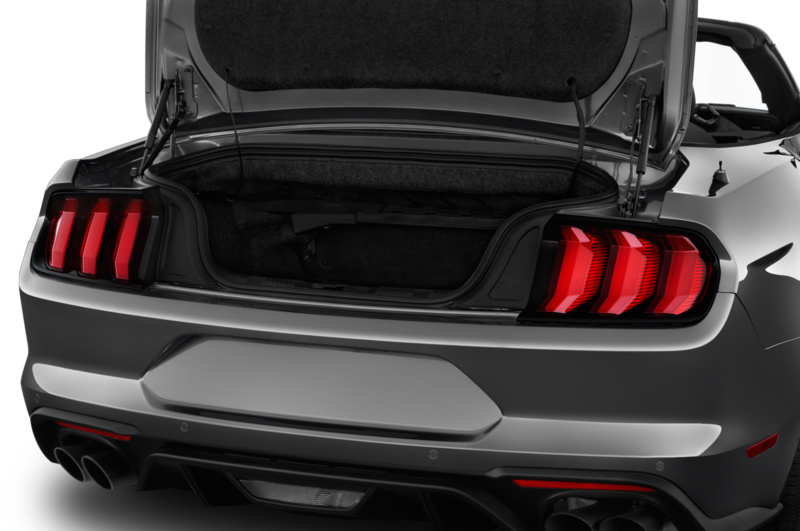 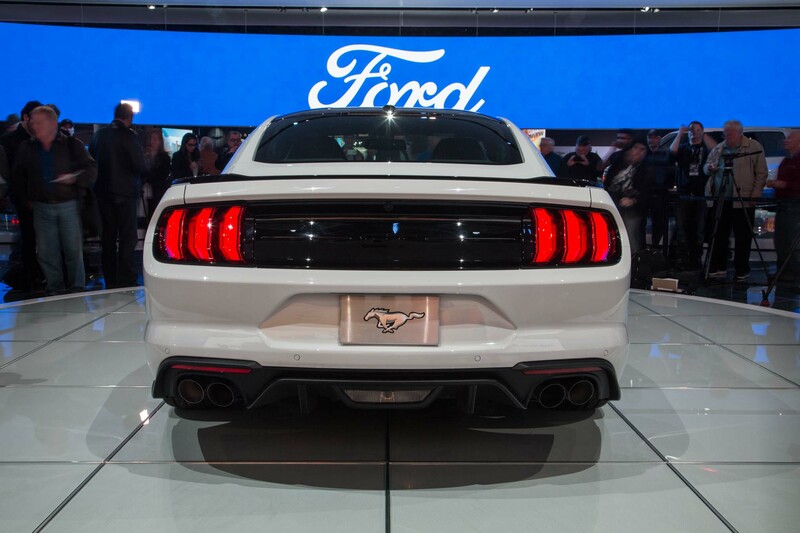 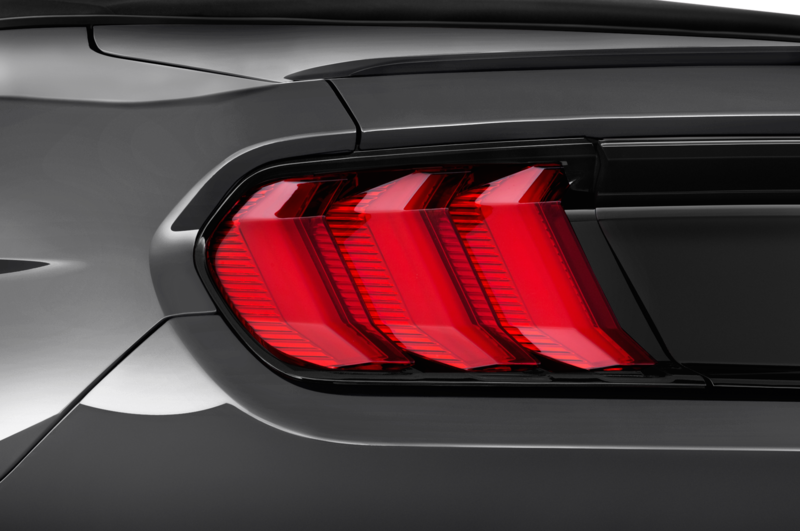 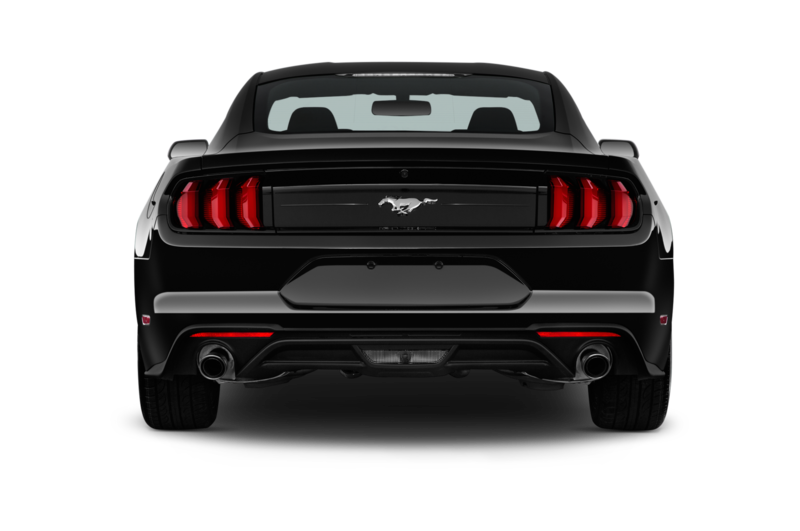 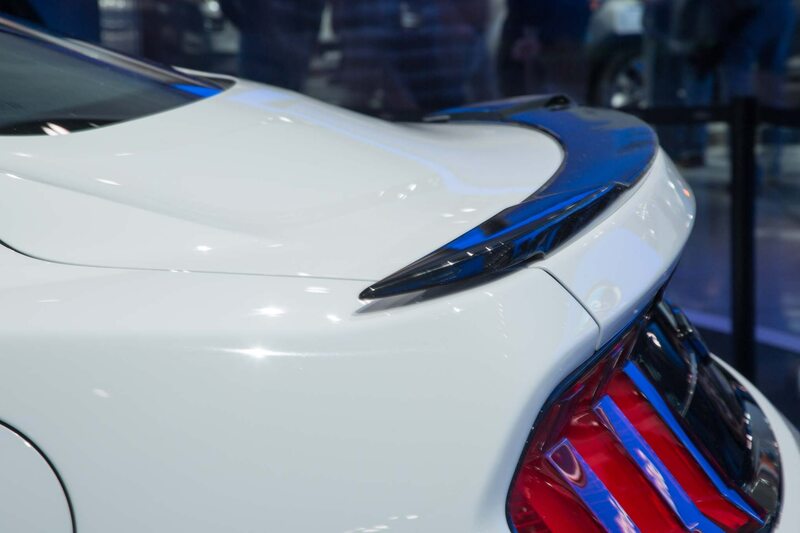 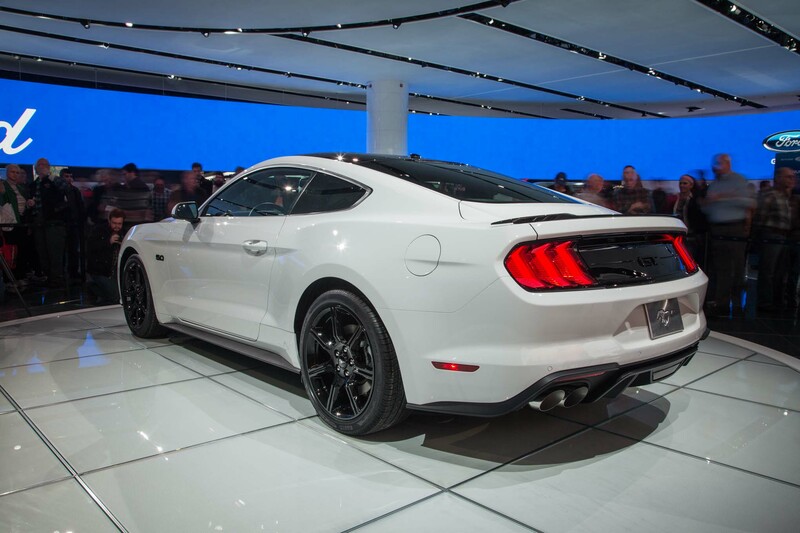 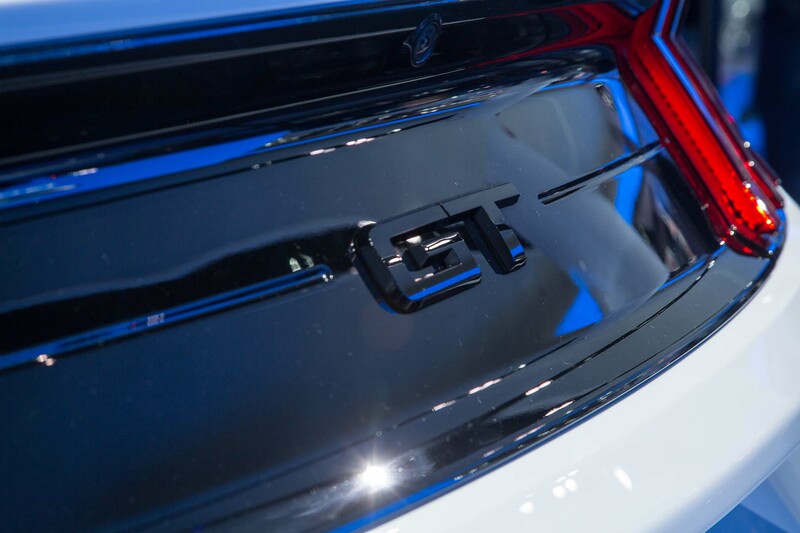 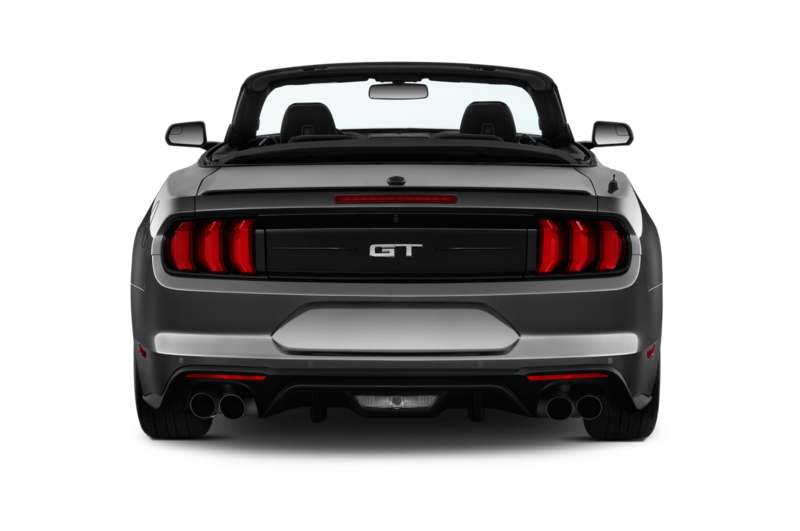 Not much is new in the rear, save redesigned taillights and a new spoiler for the GT models. 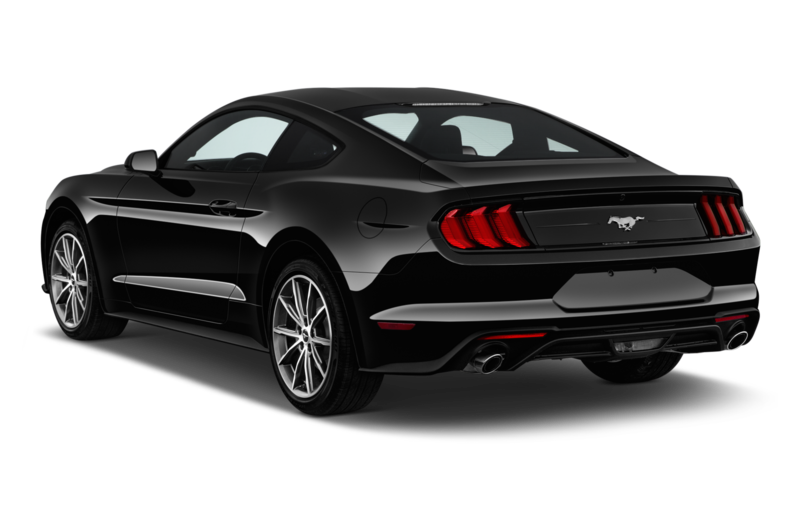 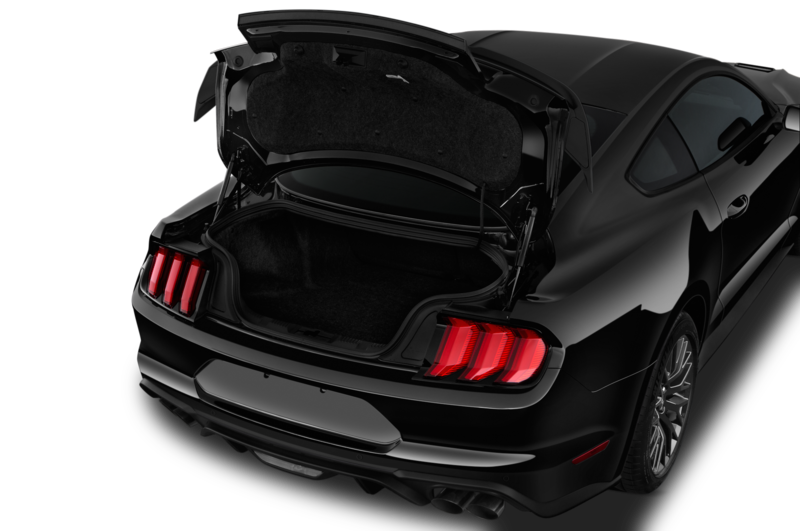 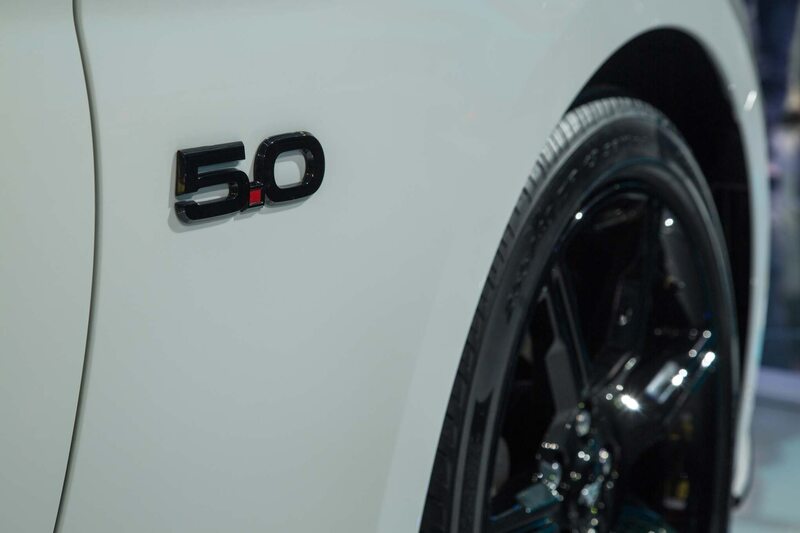 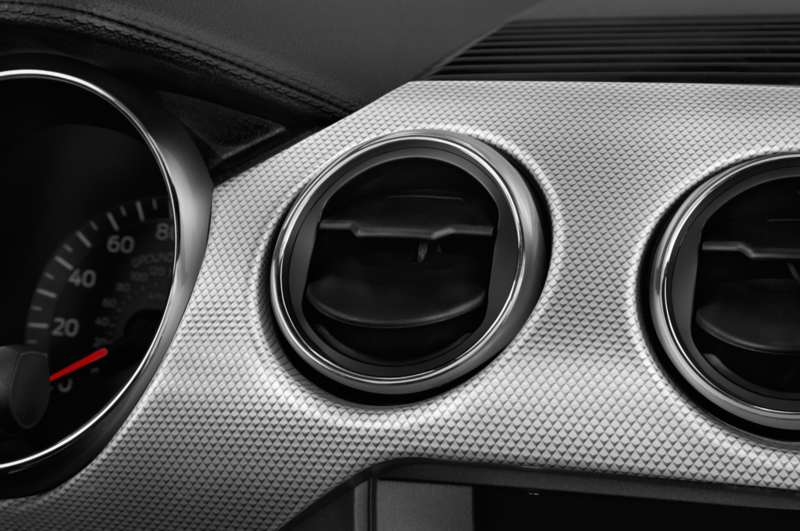 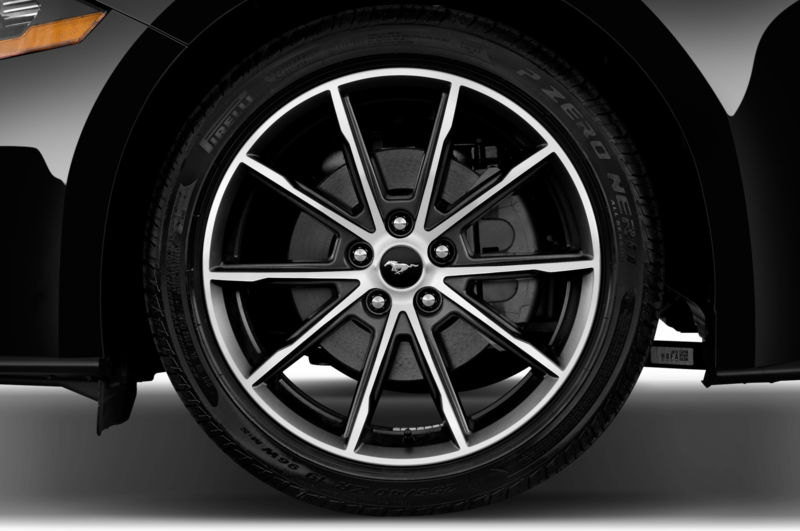 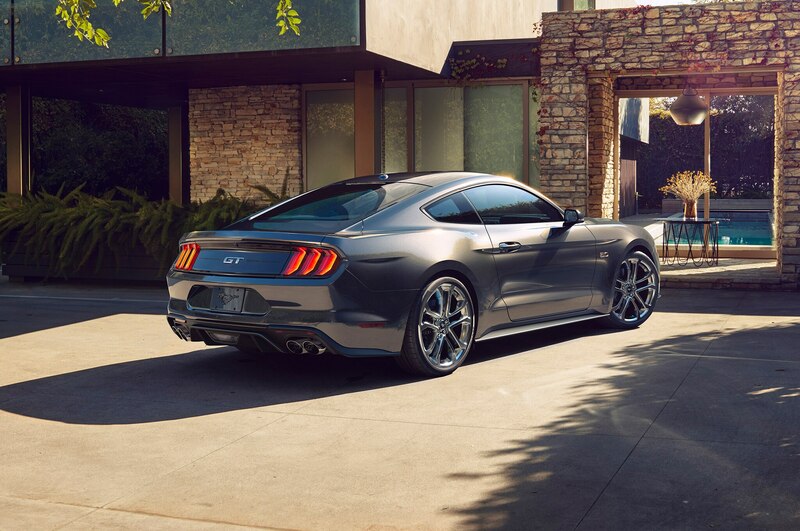 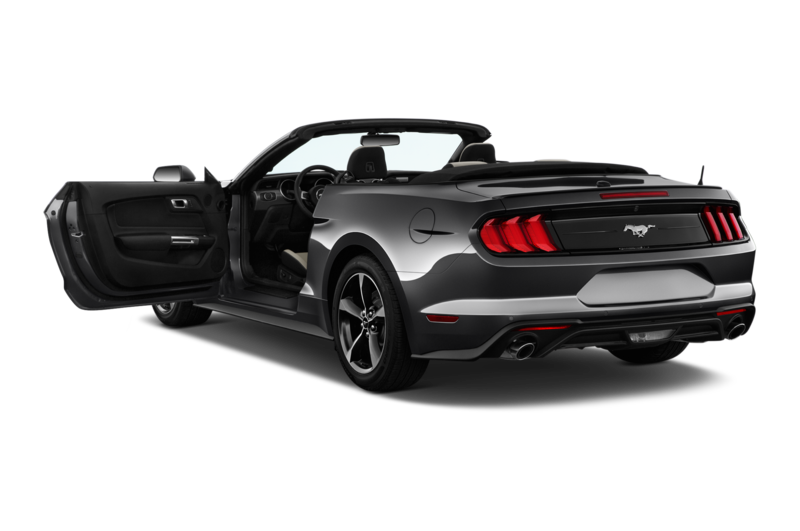 The Mustang departs from the three-tier engine hierarchy, returning to just two mills. 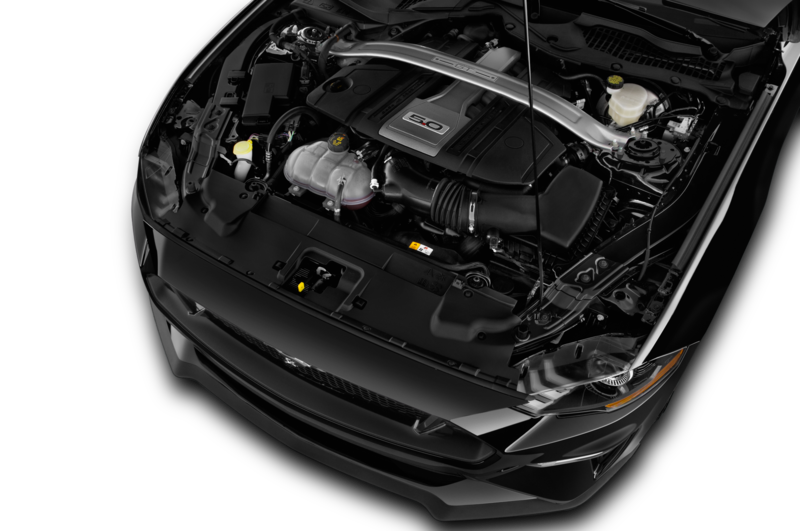 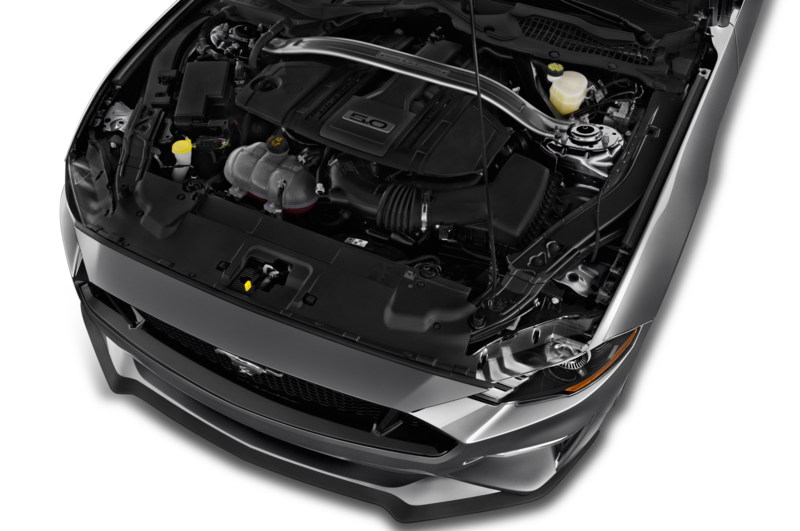 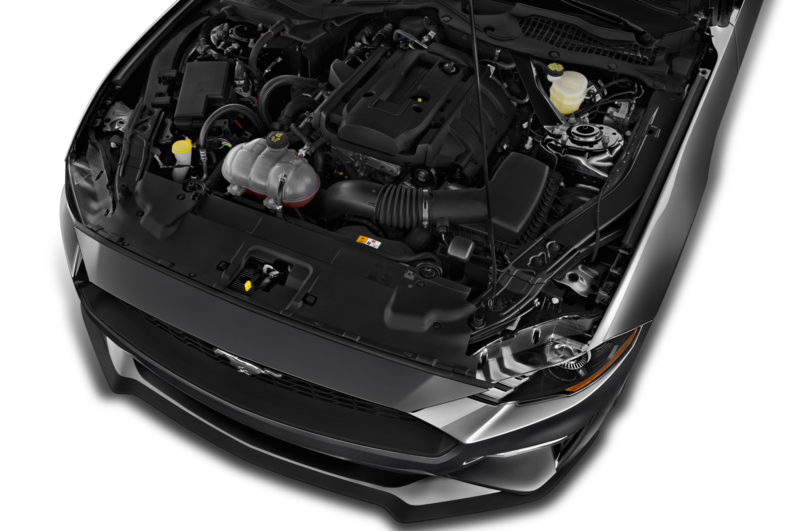 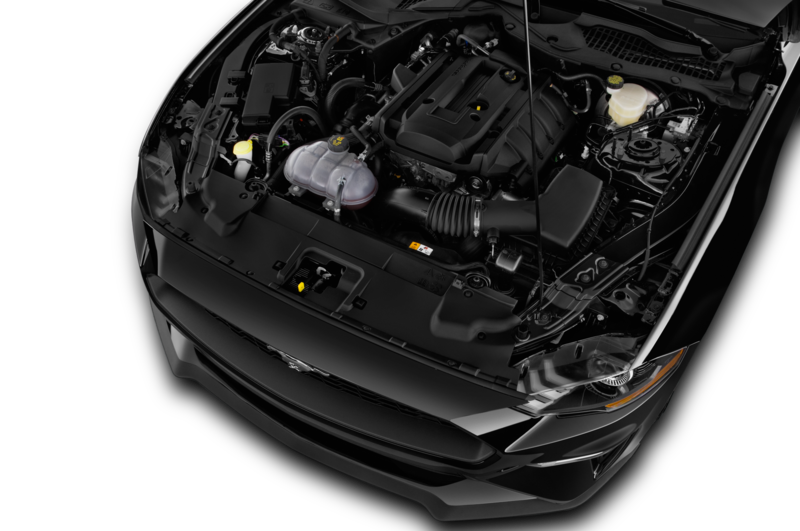 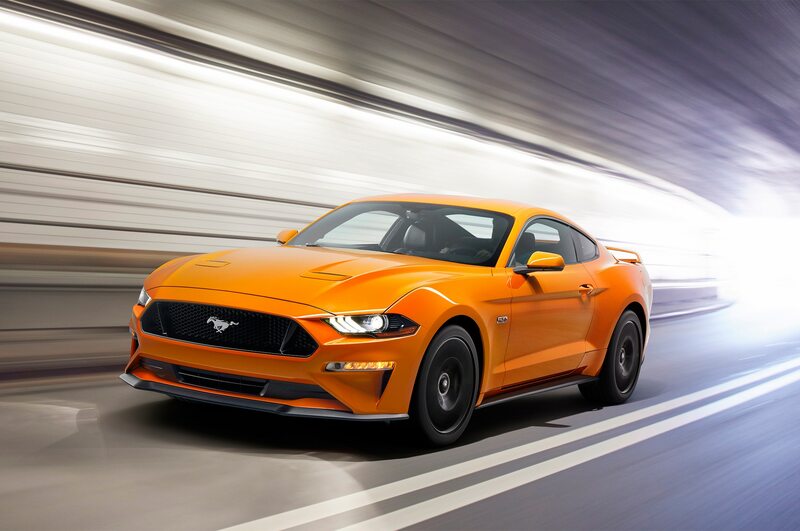 The tired 3.7-liter V-6 base engine is put out to pasture for the new model year, replaced by the 2.3-liter turbocharged four-cylinder we’ve experienced in the current EcoBoost Mustang. 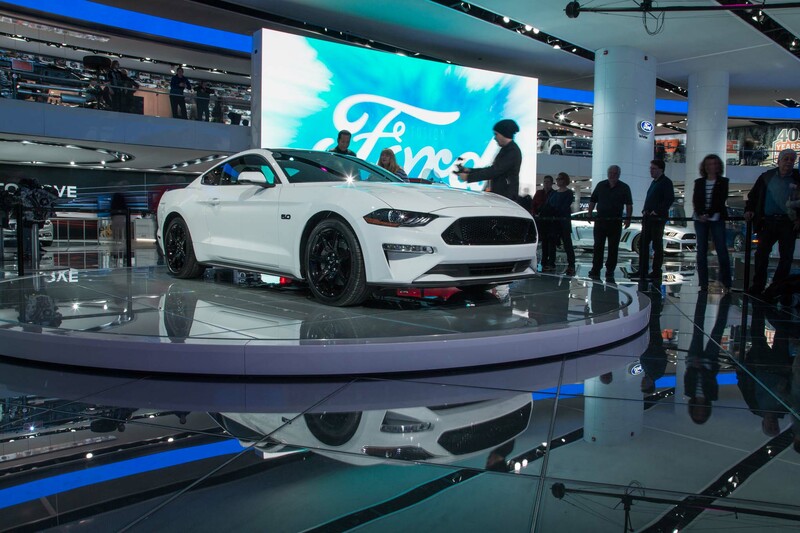 Ford claims power and response is up, but it hasn’t released official figures just yet. 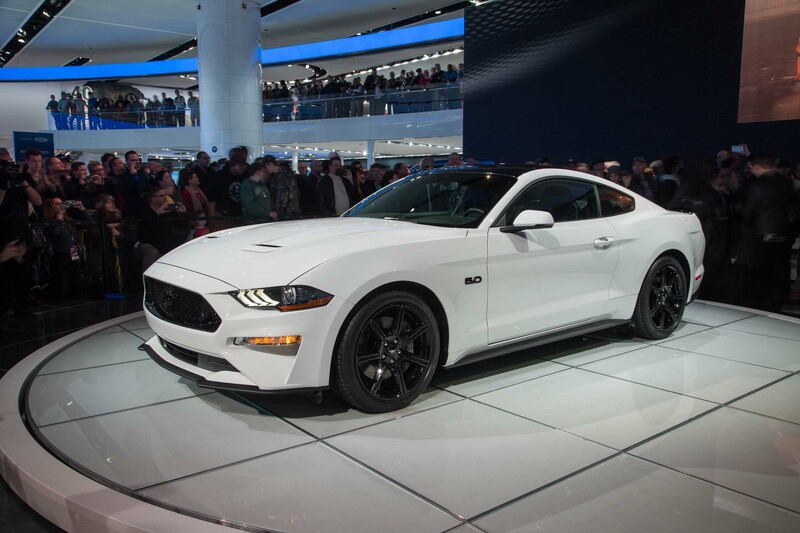 The tried-and-tested 5.0-liter is reworked for 2018 as well. 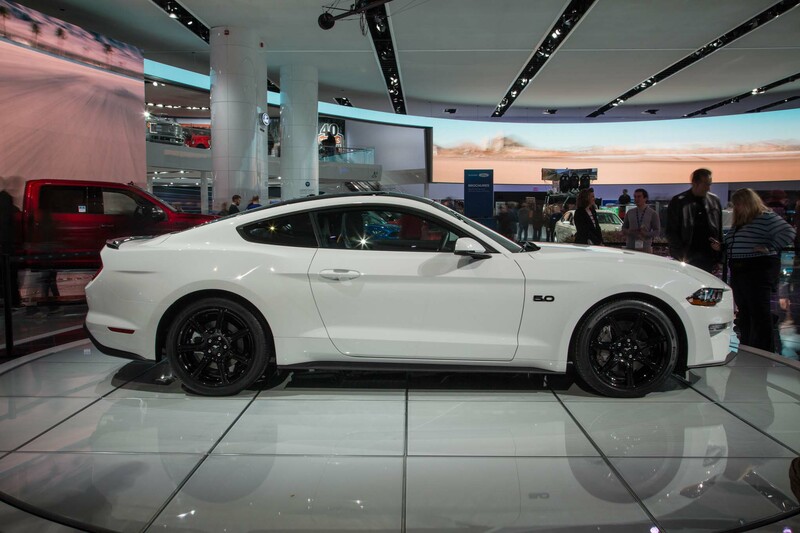 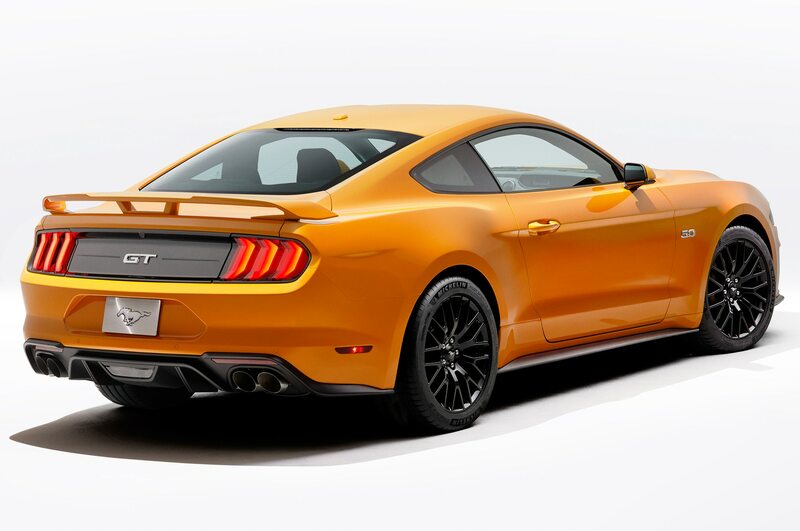 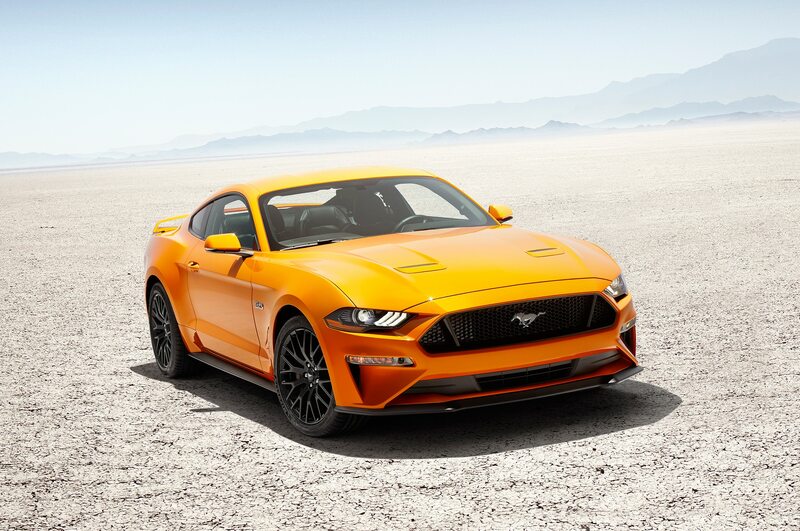 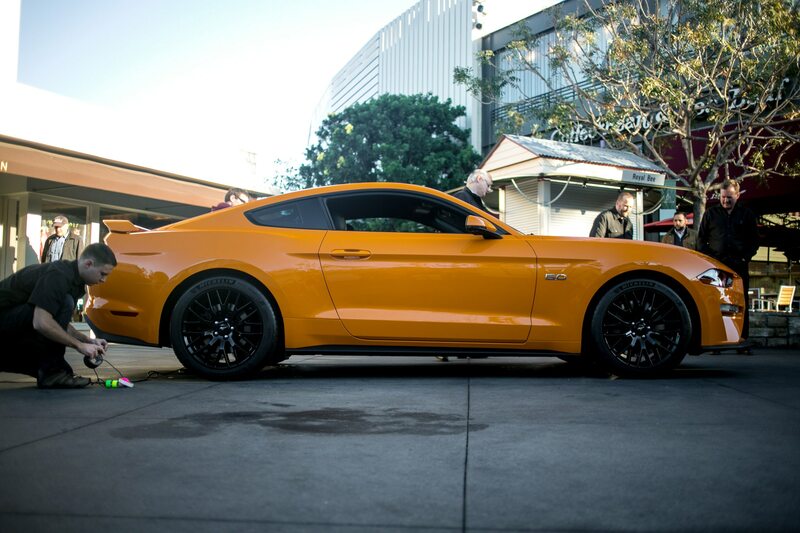 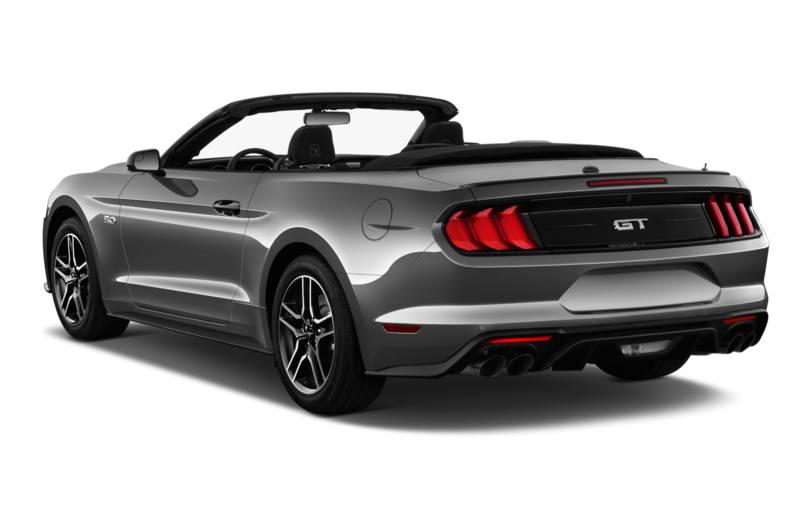 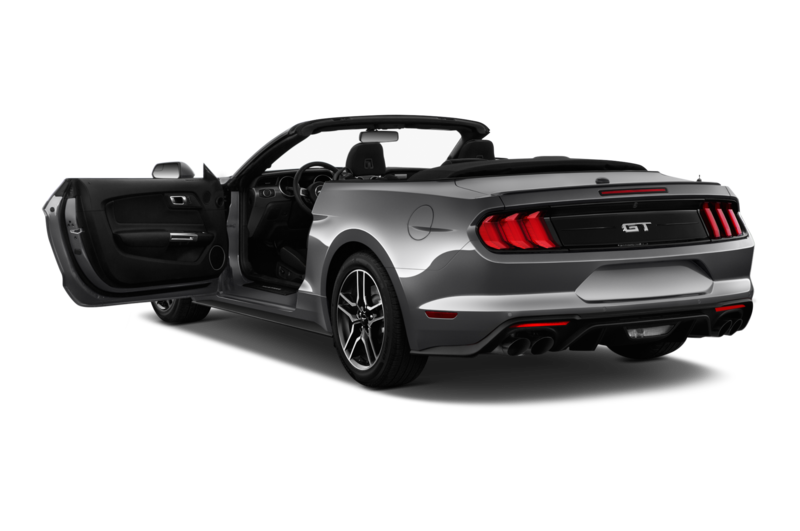 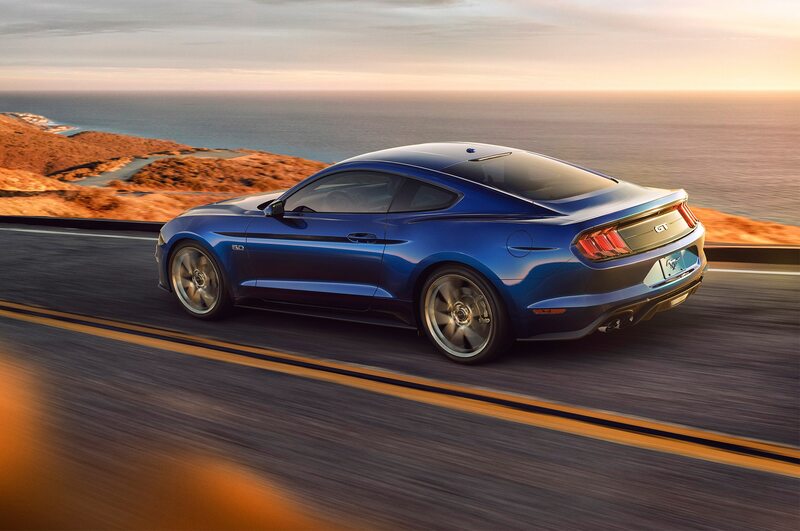 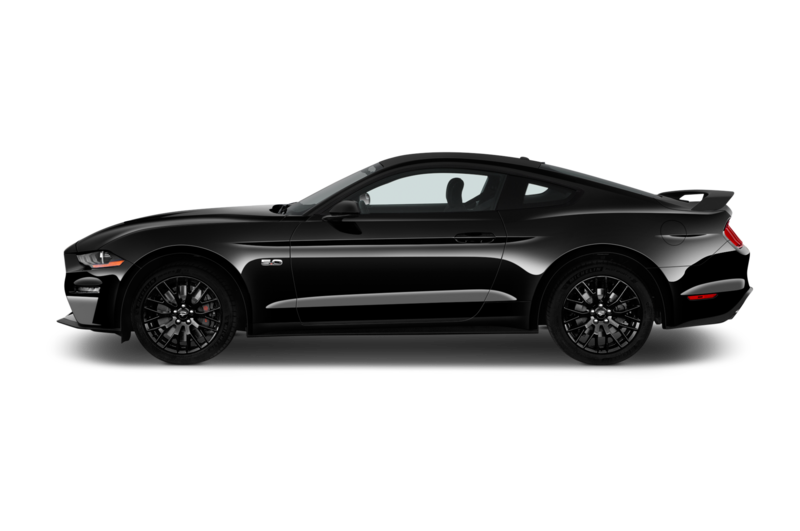 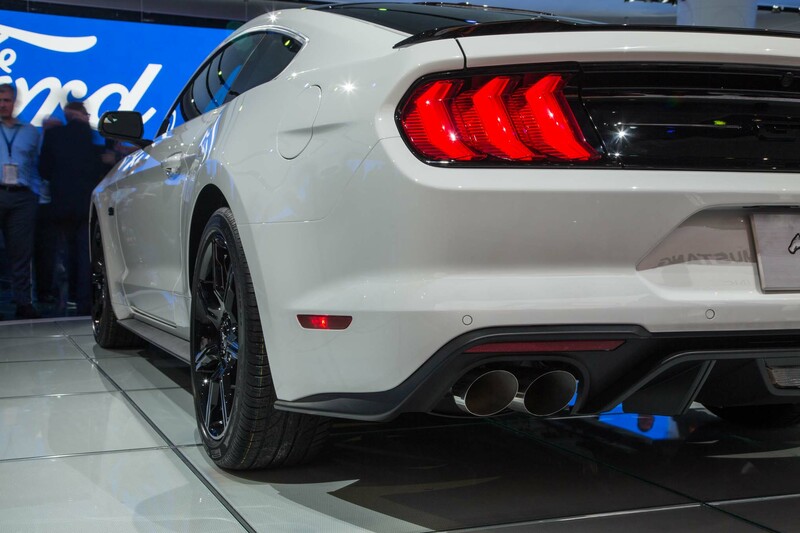 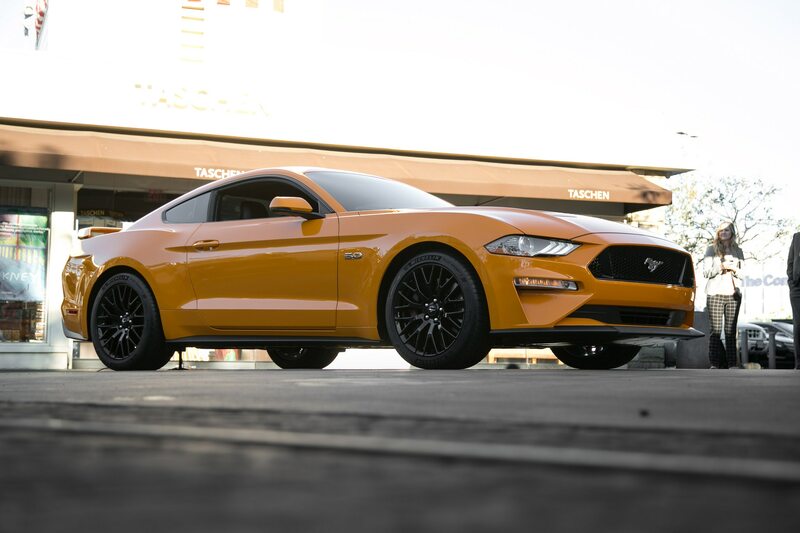 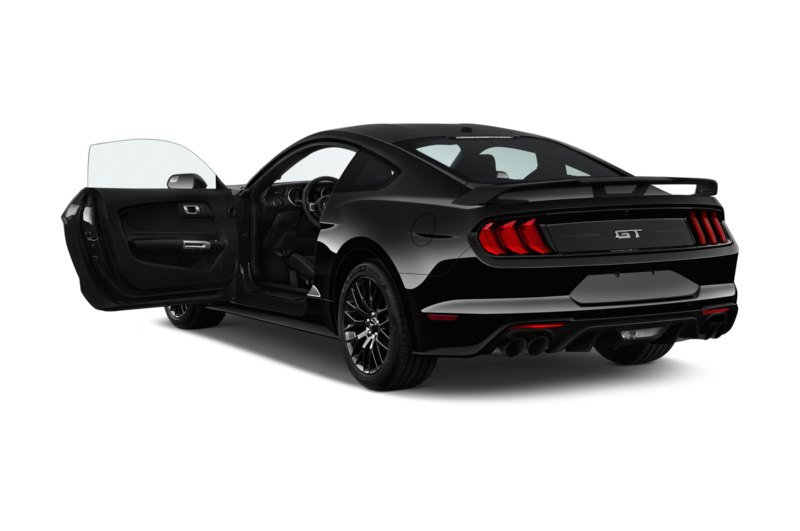 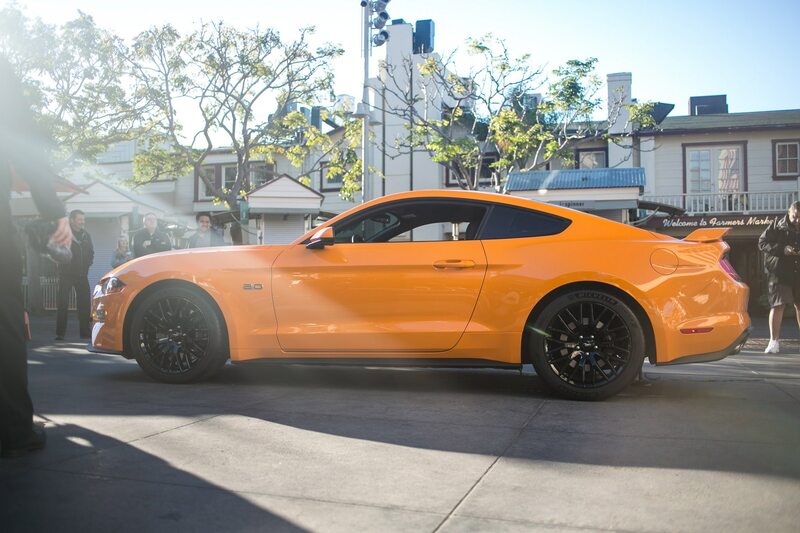 Thanks to port-and-direct injection and a revised exhaust system, Ford says this is the most powerful and high-revving Mustang GT ever offered. Again, no official numbers are available yet, but we wouldn’t be surprised to see a power figure climbing above the 450 hp mark to compete with the current Chevrolet Camaro SS. 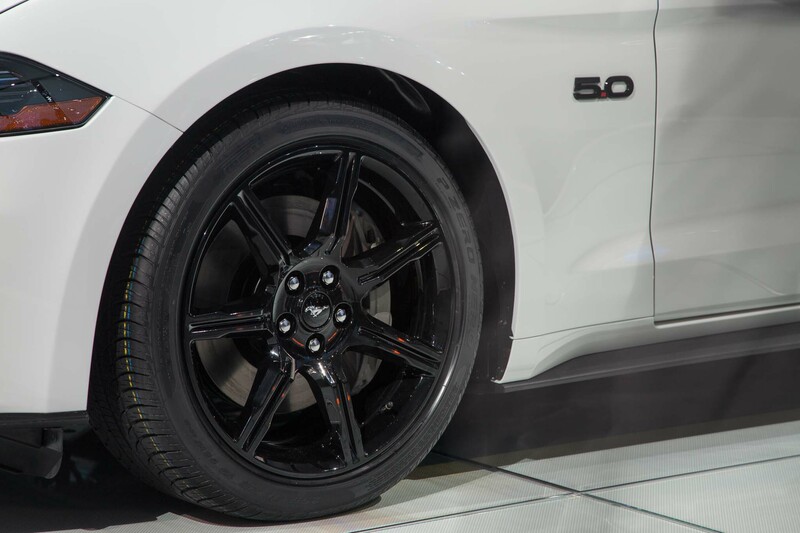 Ford’s corporate 10-speed transmission found its way into the Mustang, now routing power to the rear wheels for both the EcoBoost and the GT. 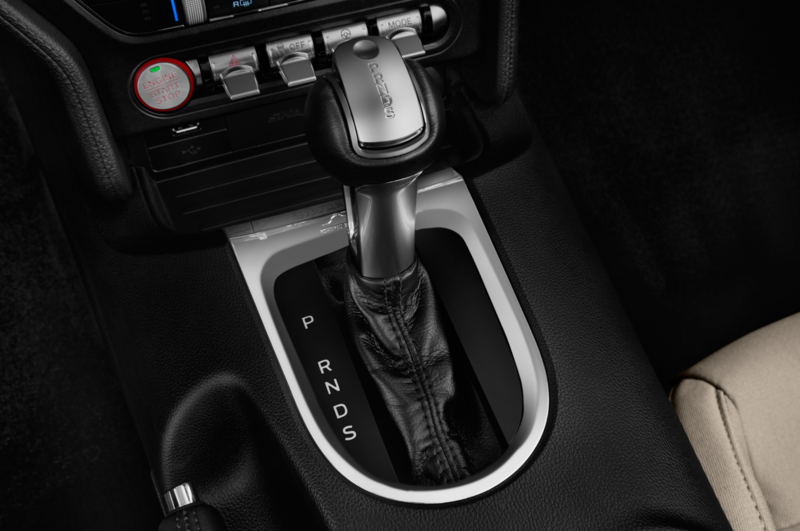 Don’t be scared of such a high number – fuel economy, acceleration, and top speed will likely all benefit from this new gearbox. 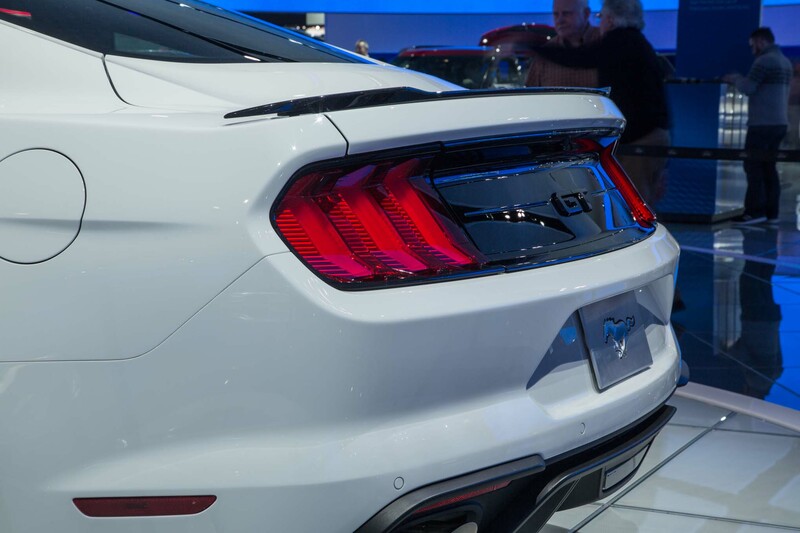 If you’re a traditionalist, don’t fret. 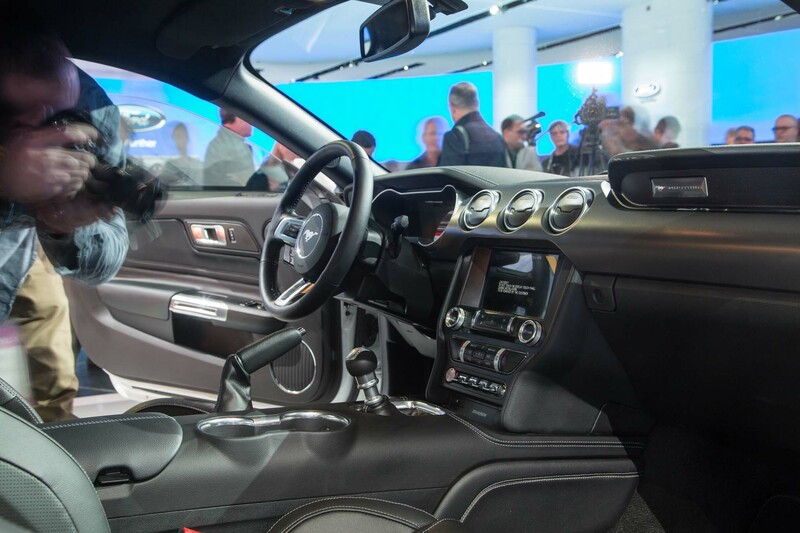 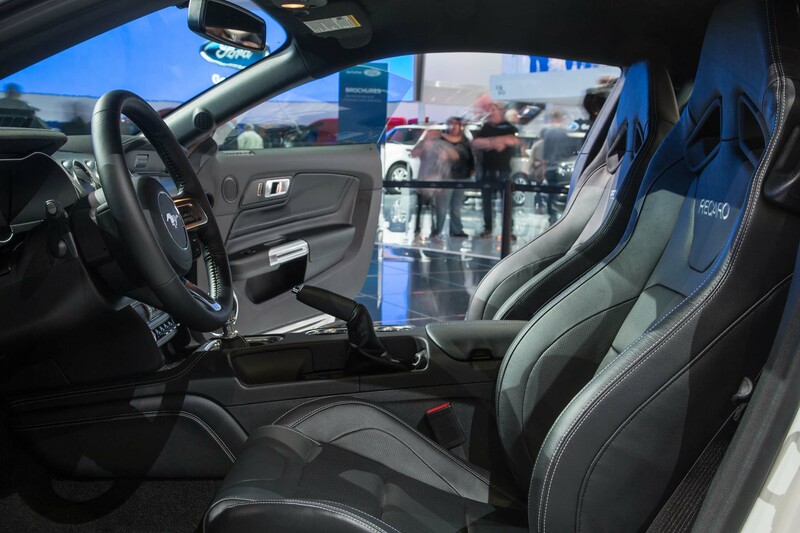 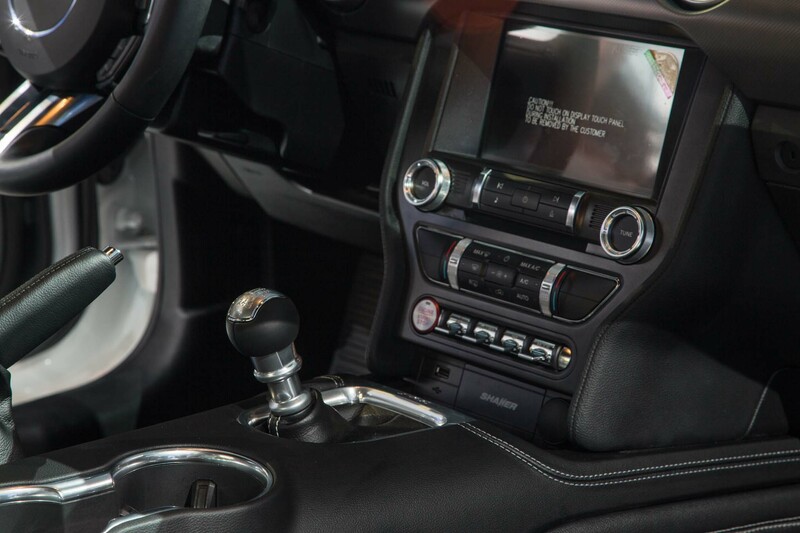 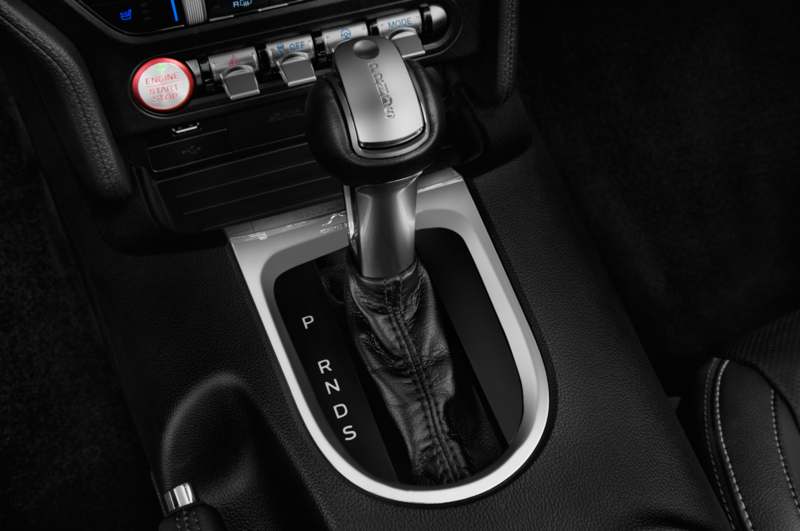 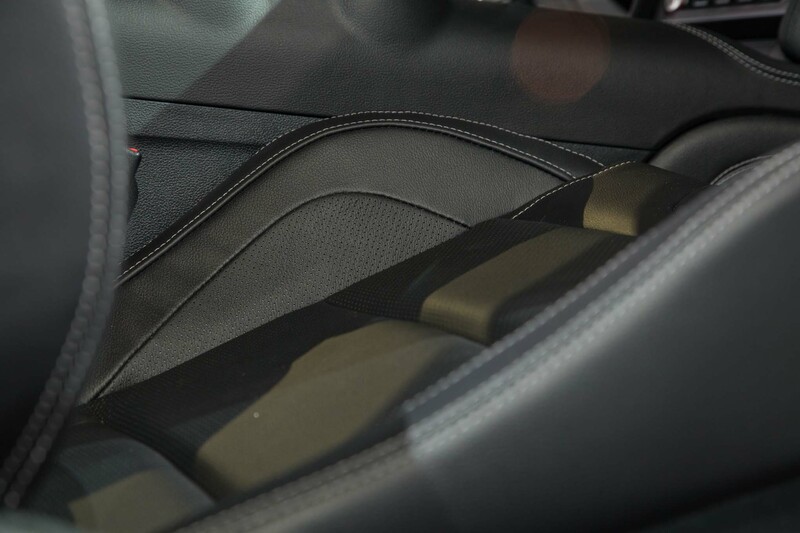 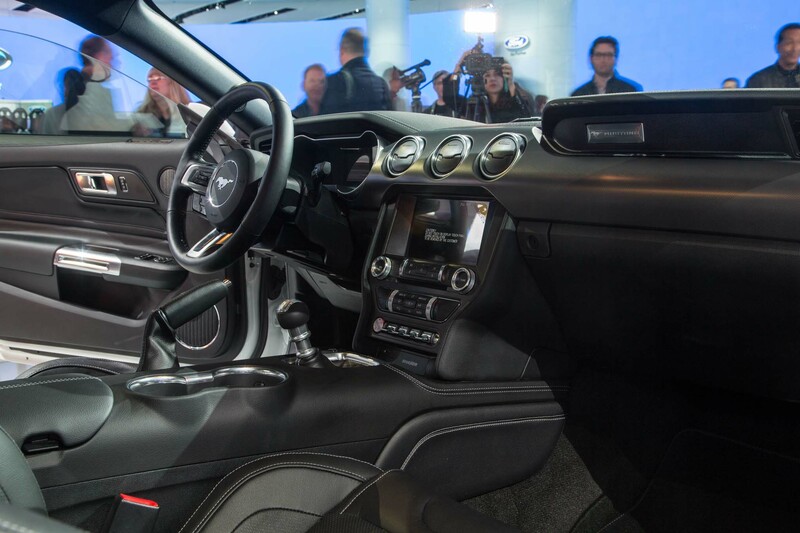 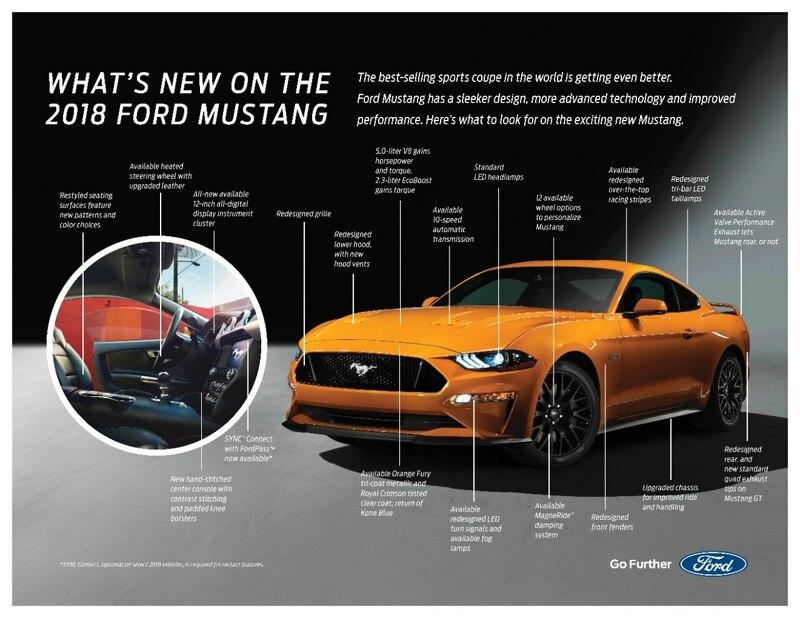 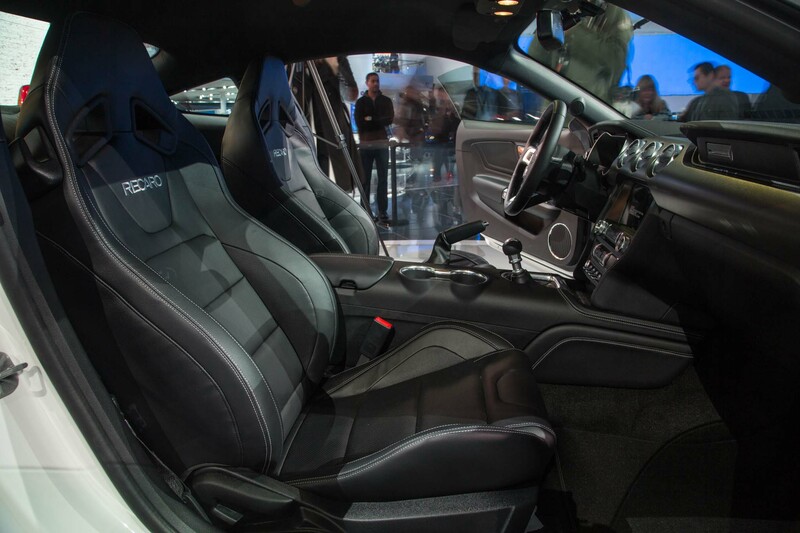 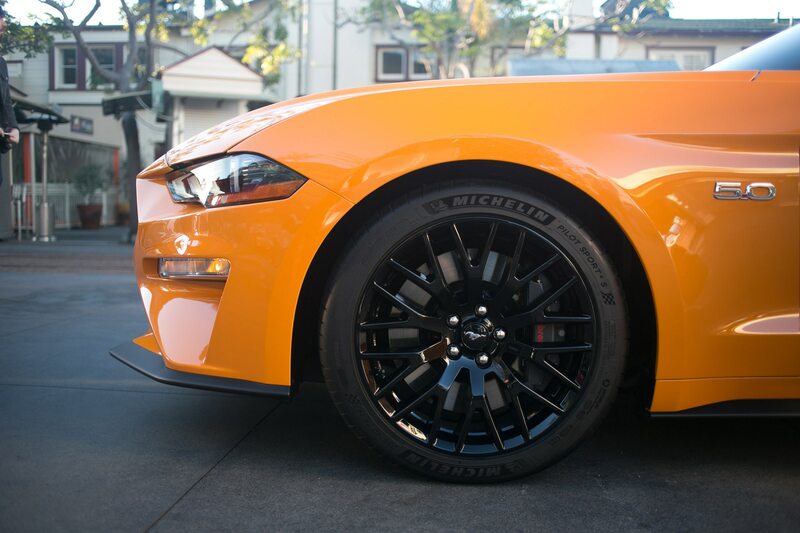 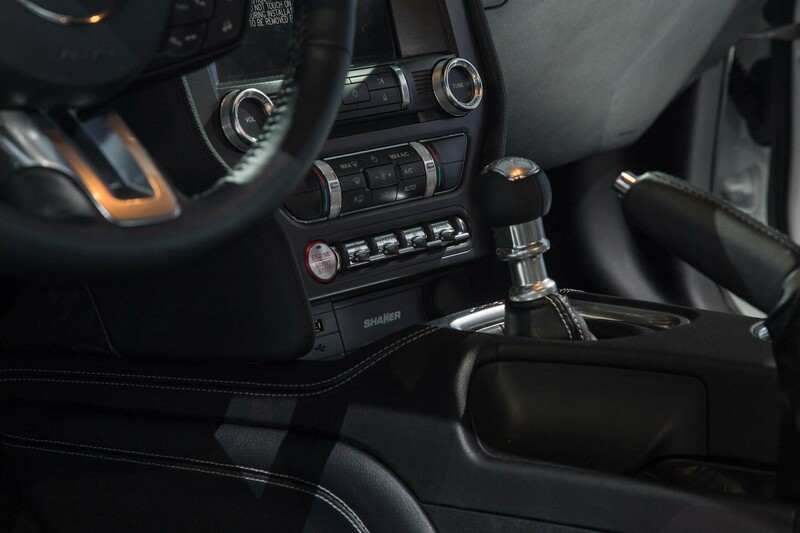 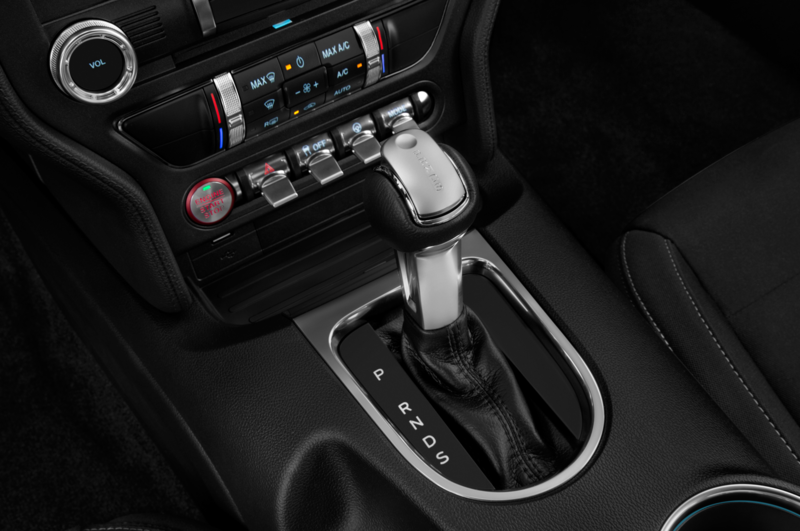 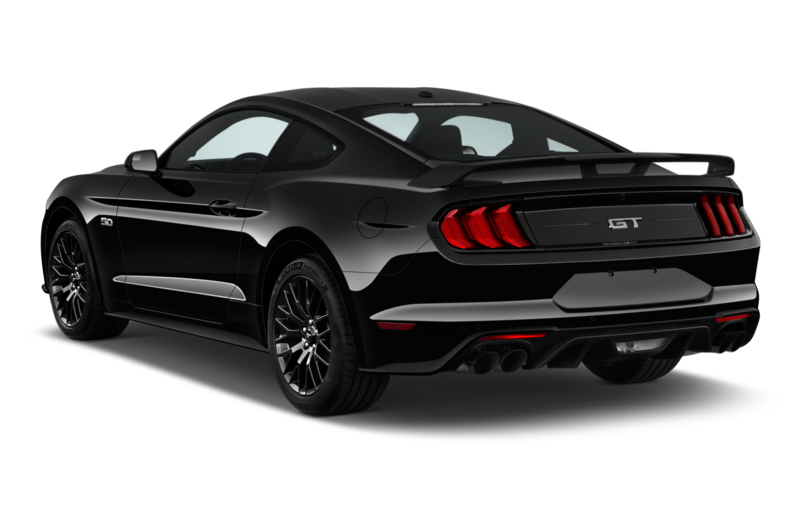 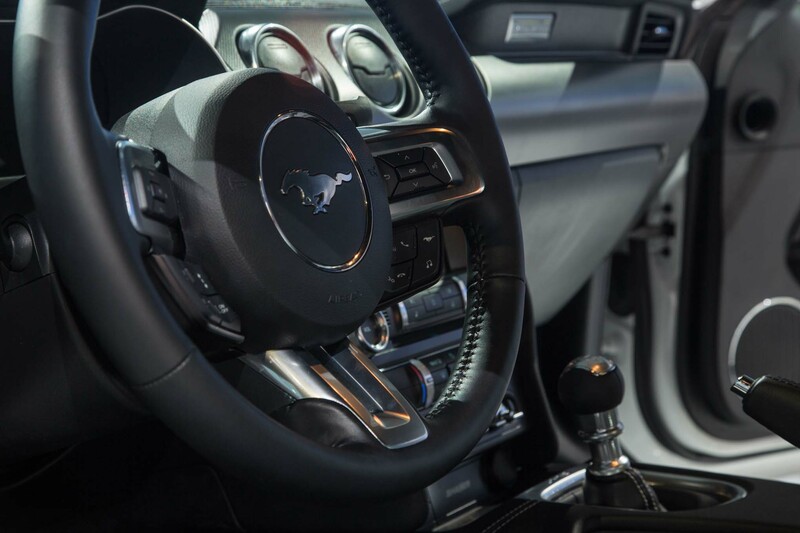 The EcoBoost retains the same six-speed manual transmission, and the GT’s six-speed is reworked for better durability and engagement. 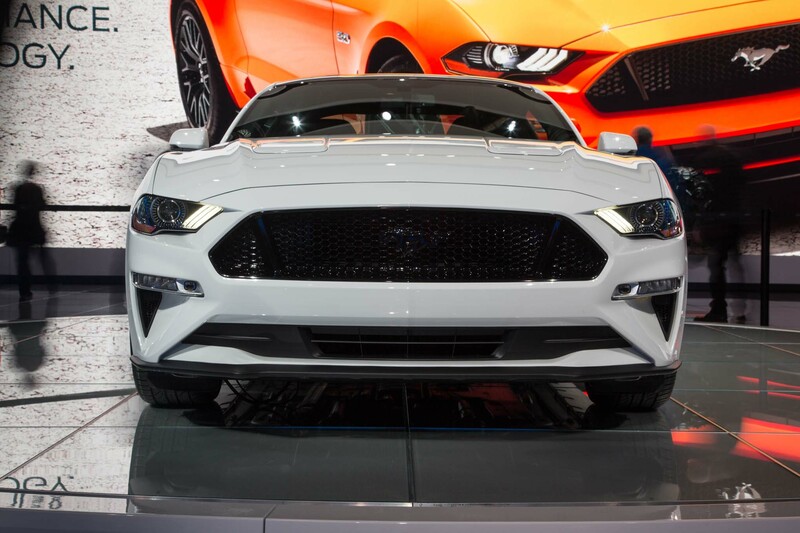 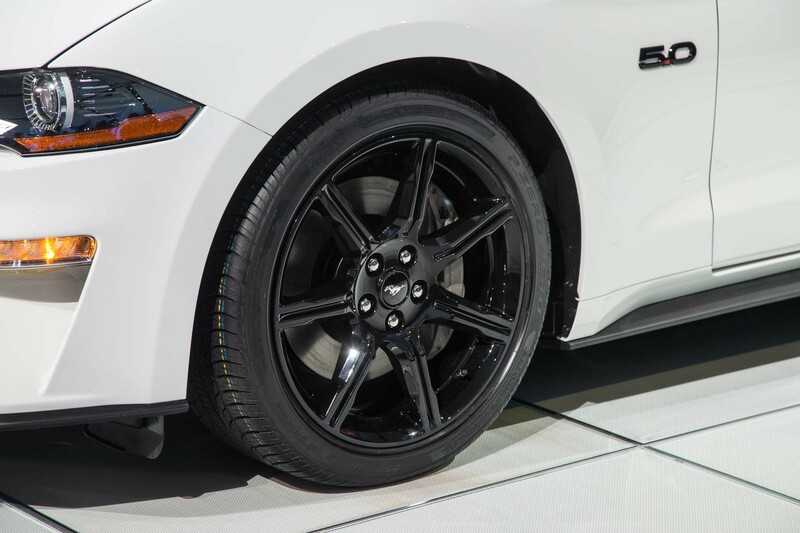 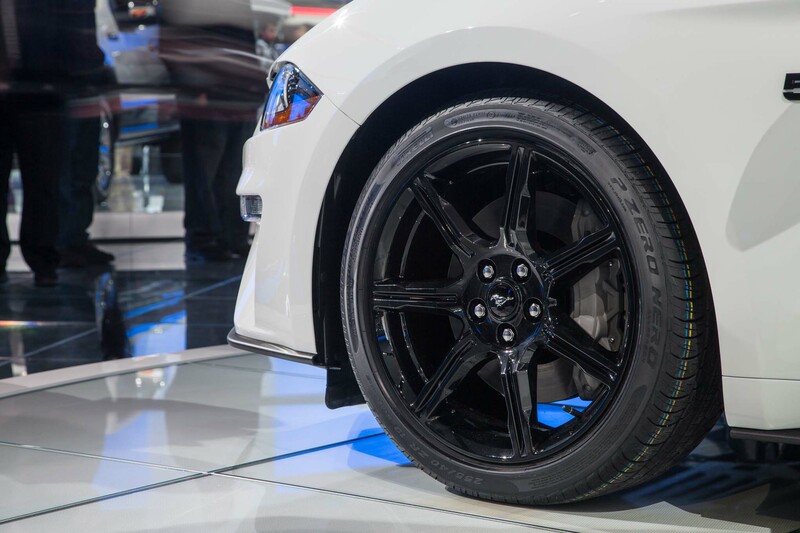 Underneath the fancy new bodywork, Ford slotted the trick MagneRide magnetic suspension in from the top-tier GT350 in the GTs outfitted with the popular Performance Package. 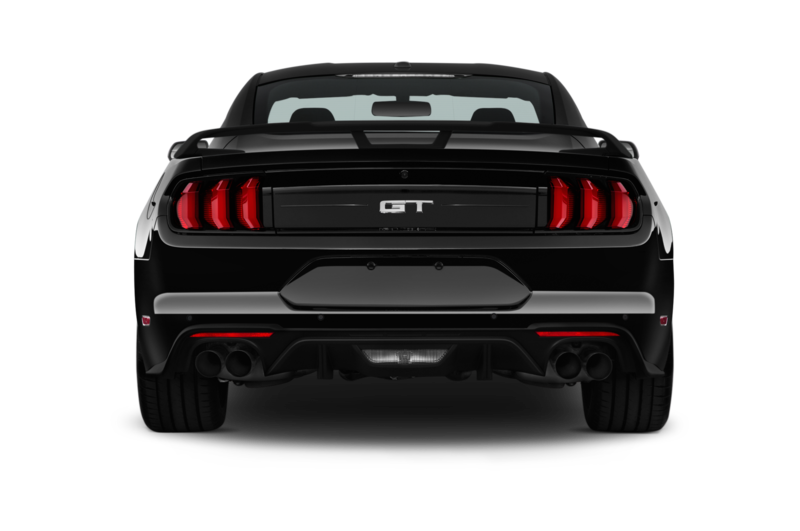 Regular GTs receive upgraded shocks and stabilizer bars for sharper handling. 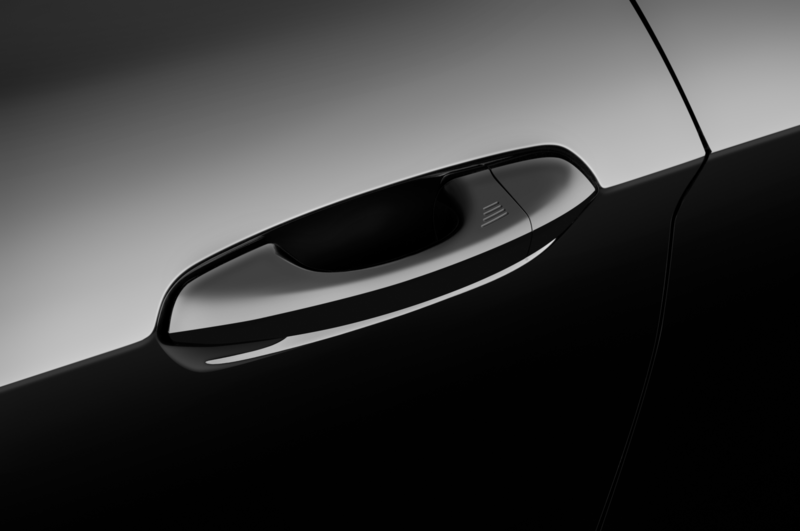 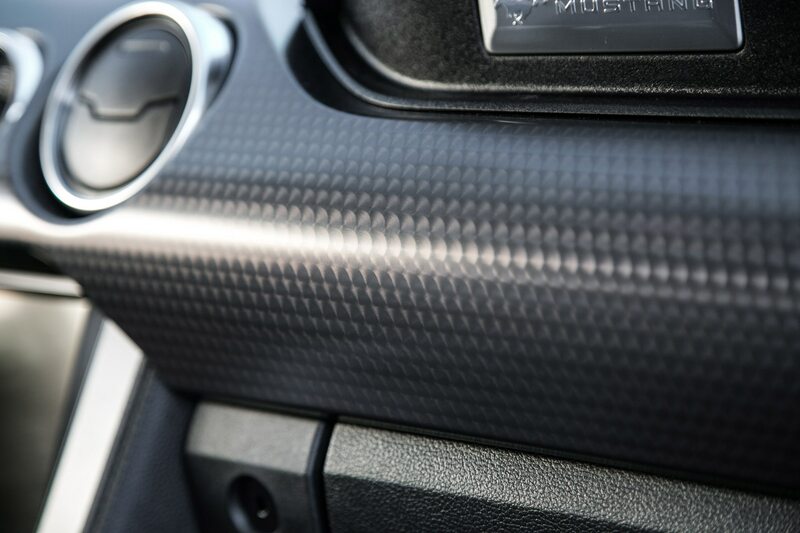 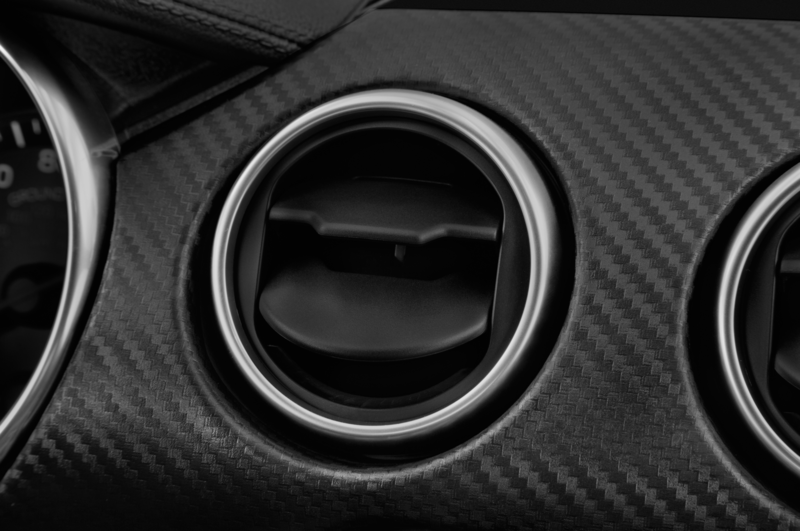 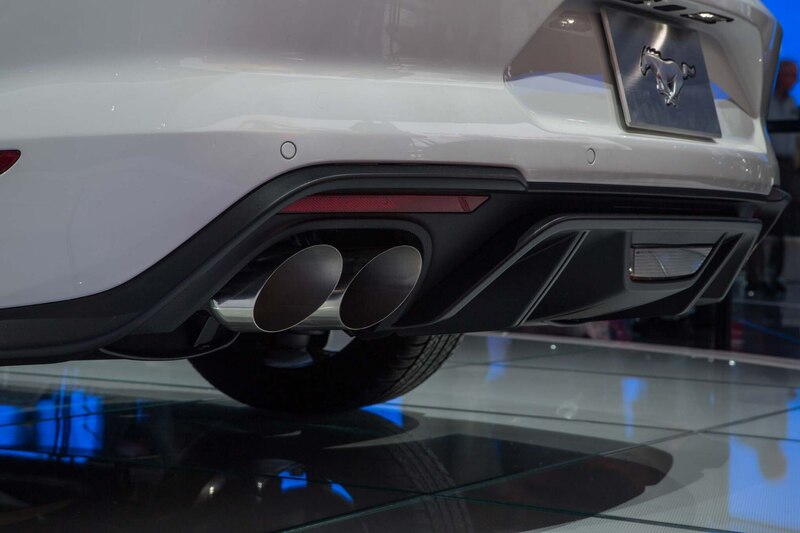 Around back, an optional active exhaust can be tailor-fit for each driver. 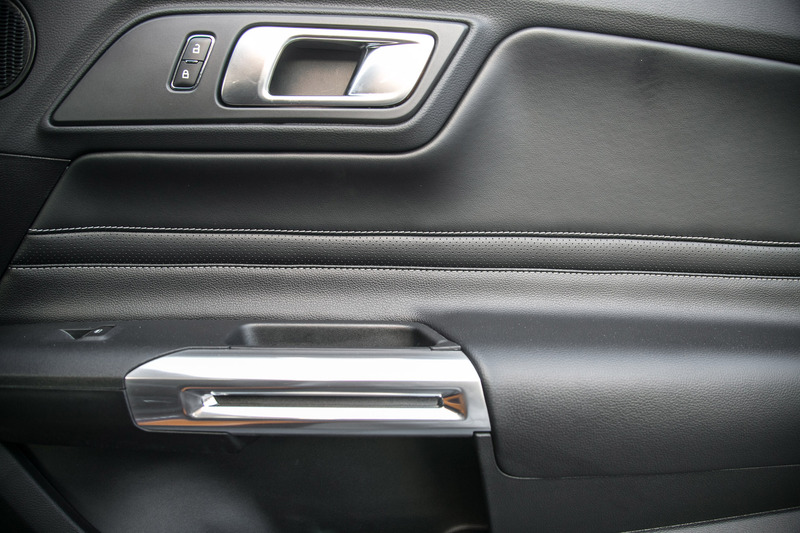 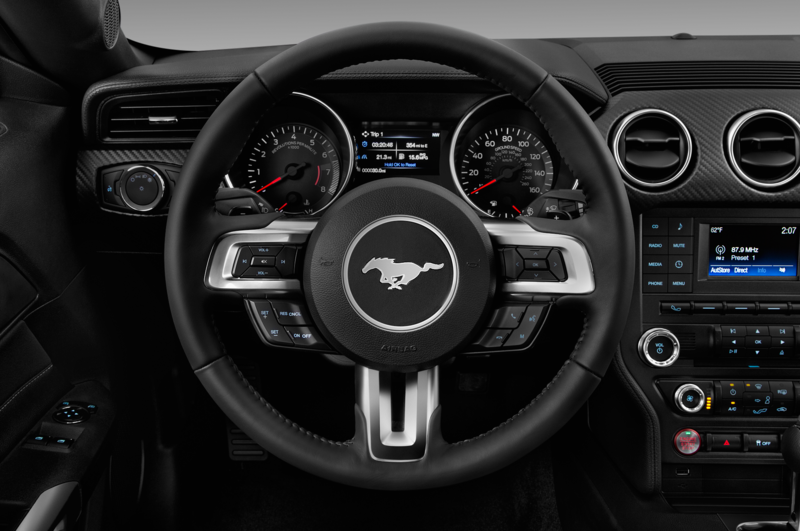 Inside, not much has changed, with the notable exception of a new 12-inch LCD gauge display. 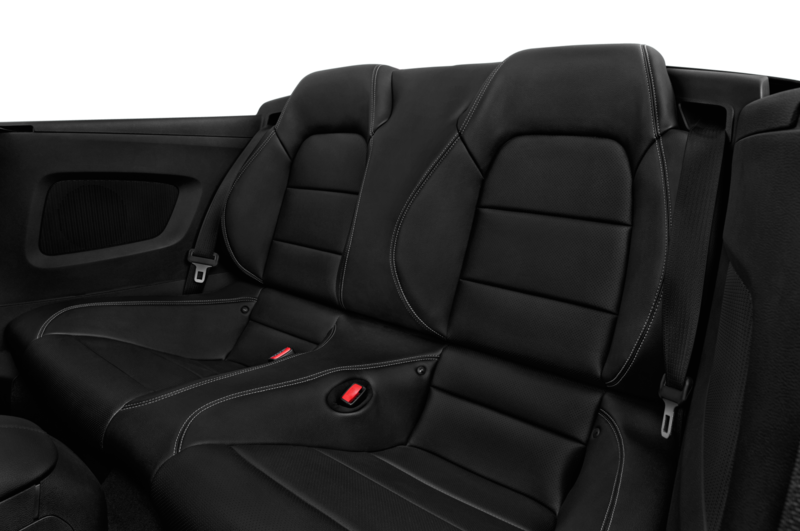 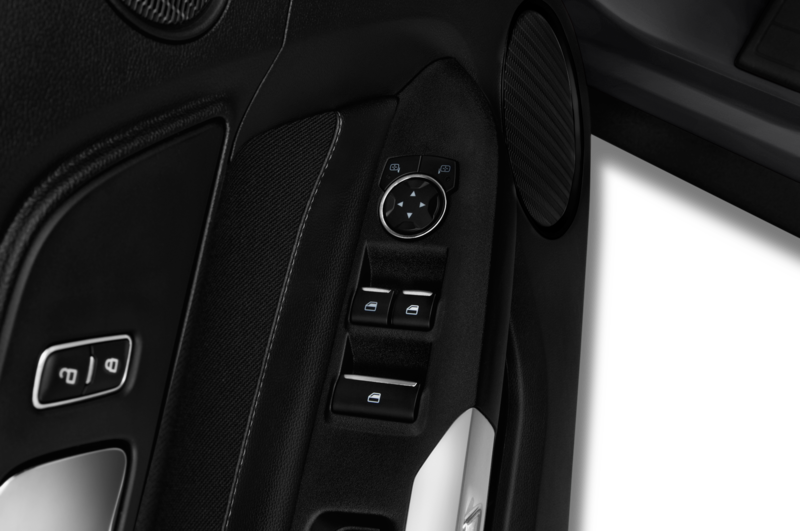 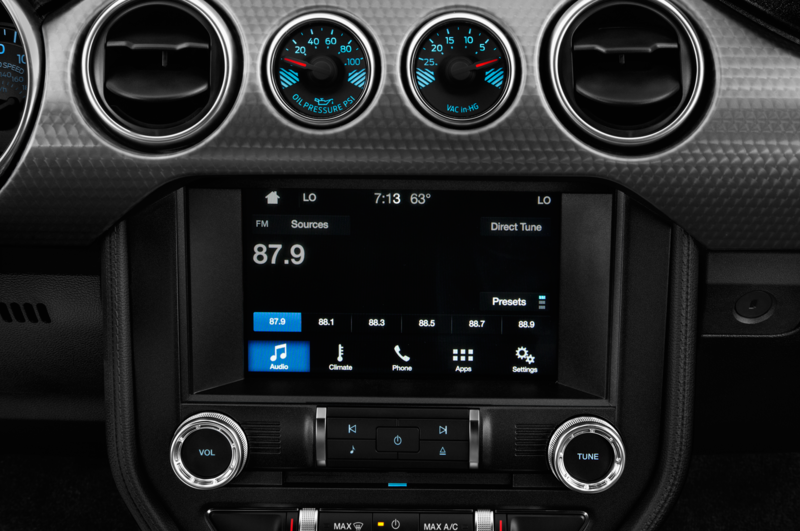 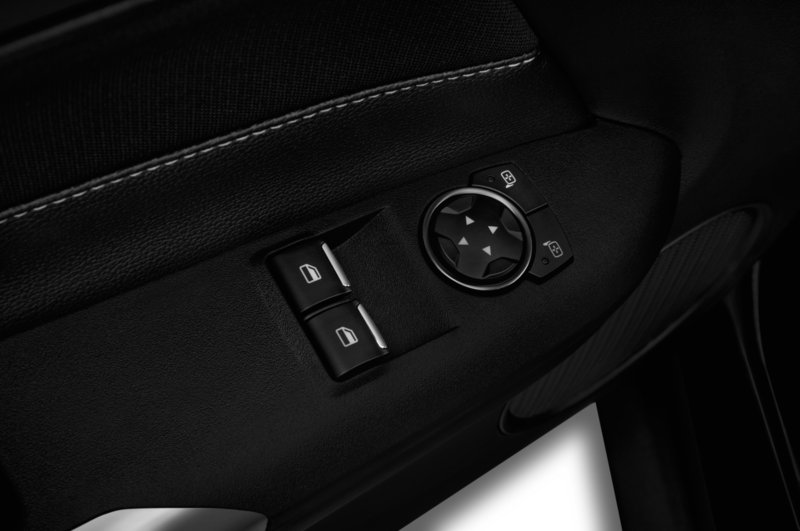 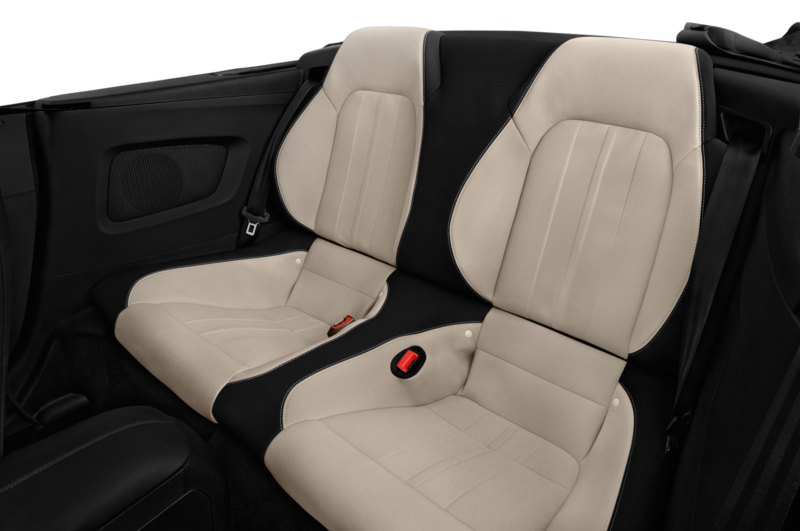 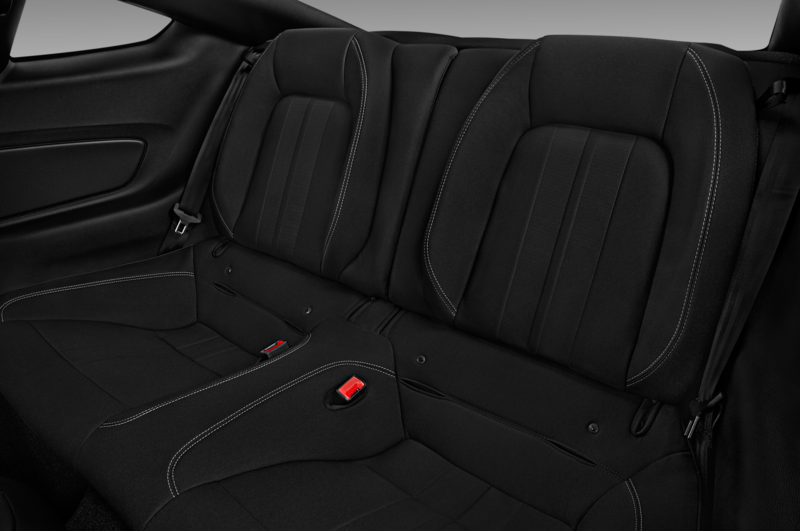 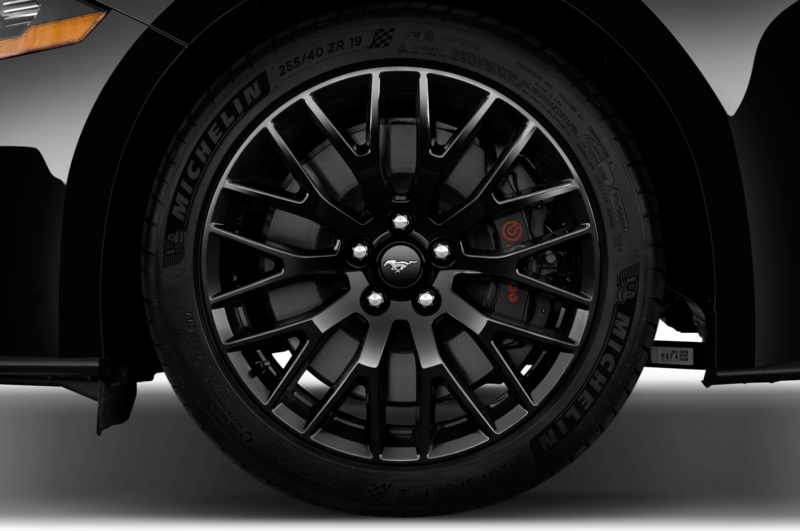 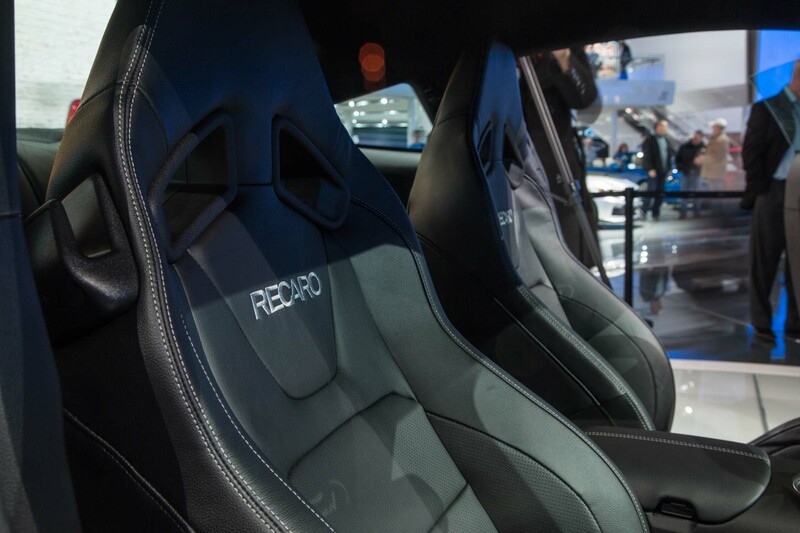 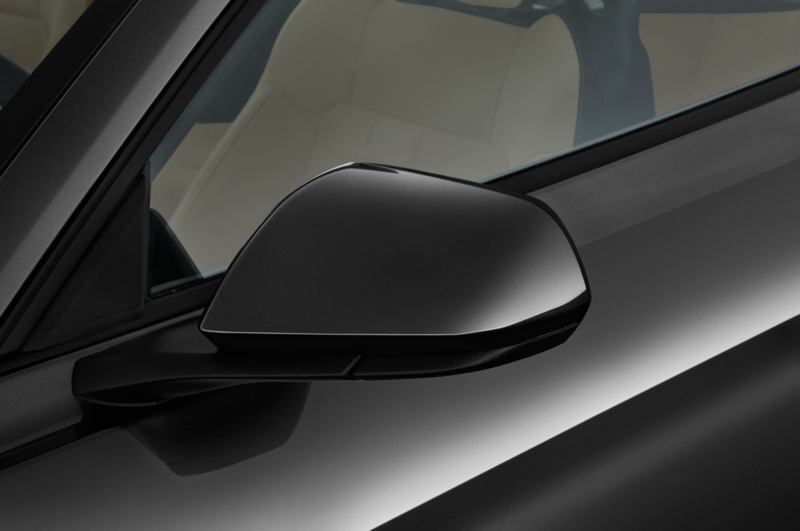 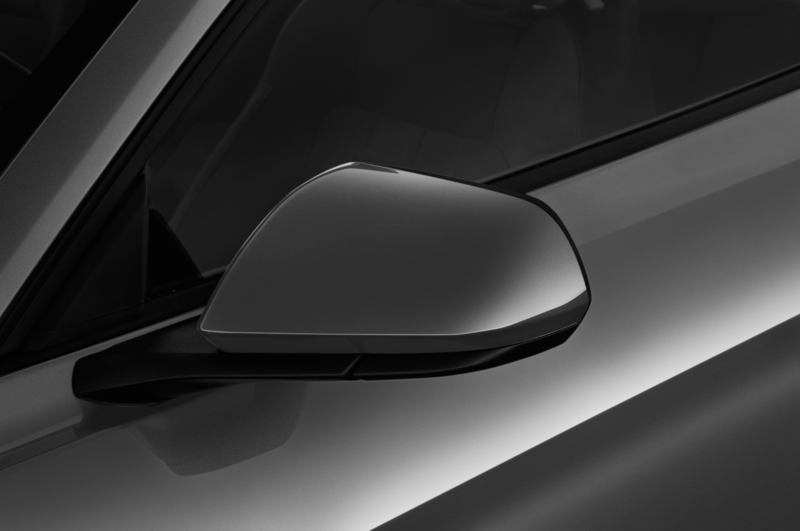 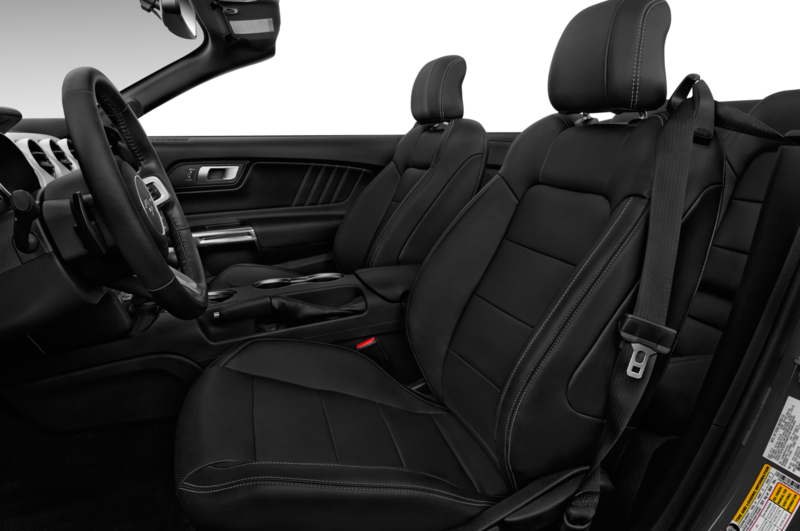 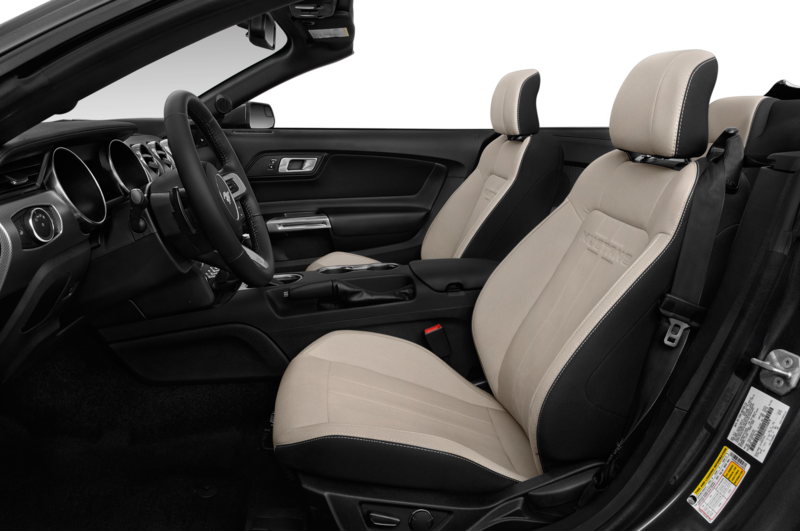 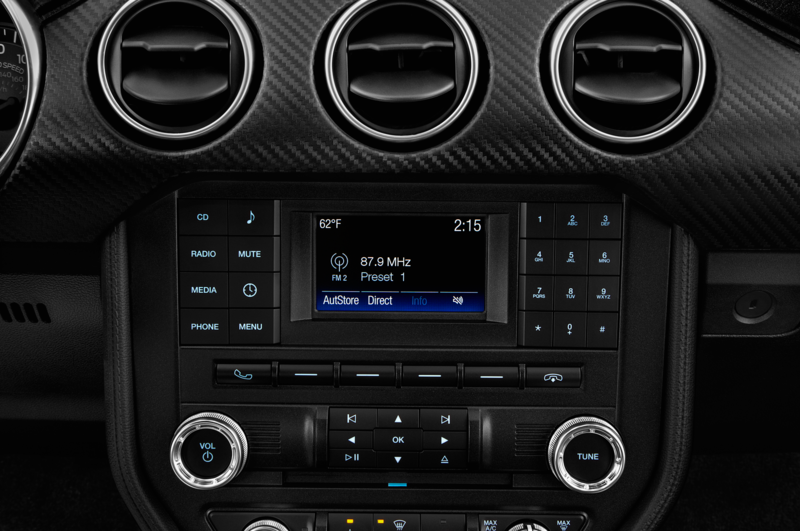 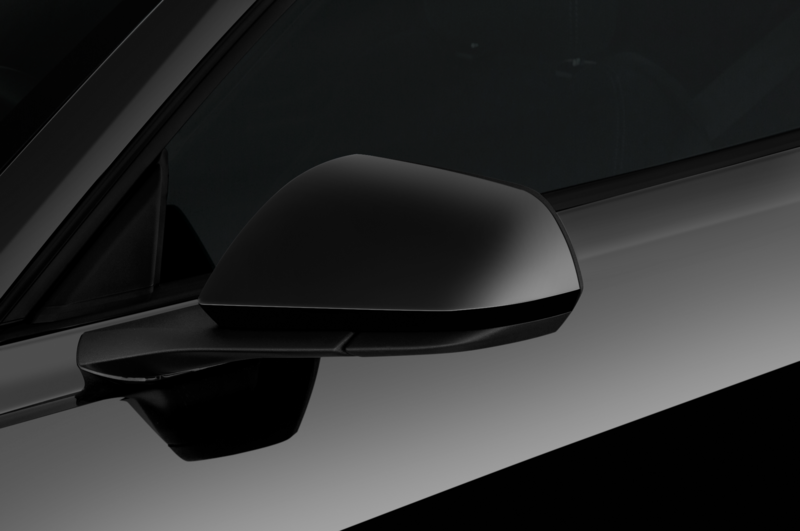 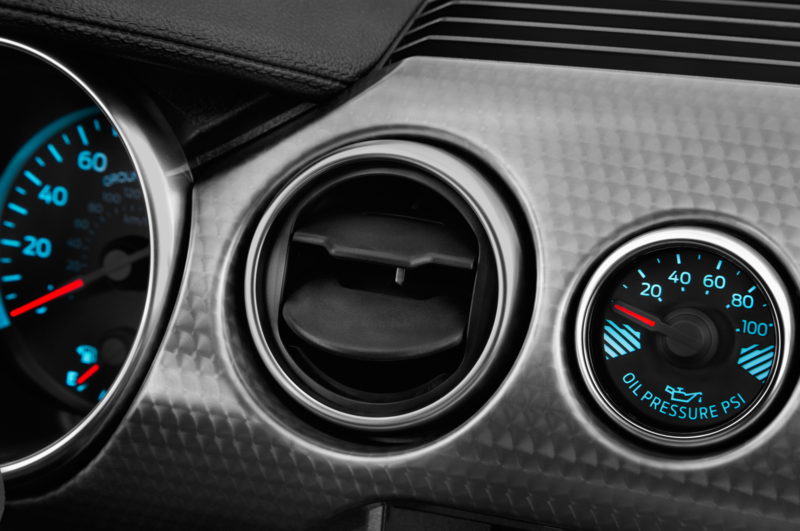 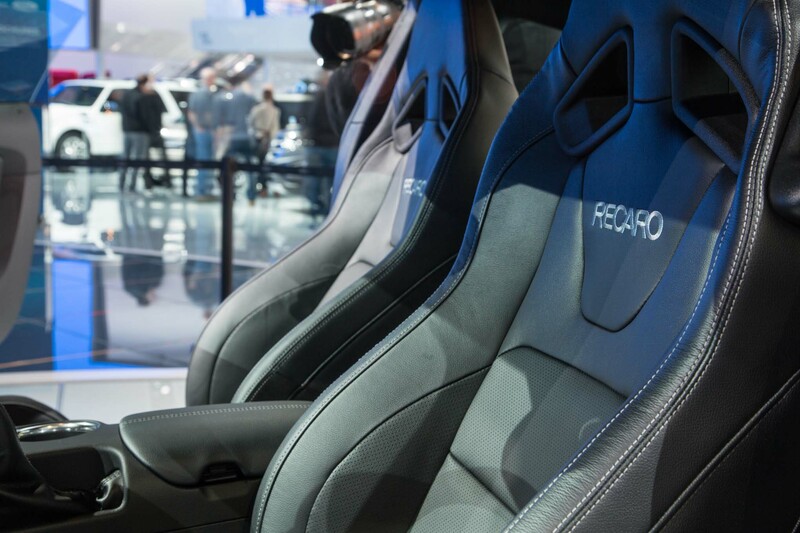 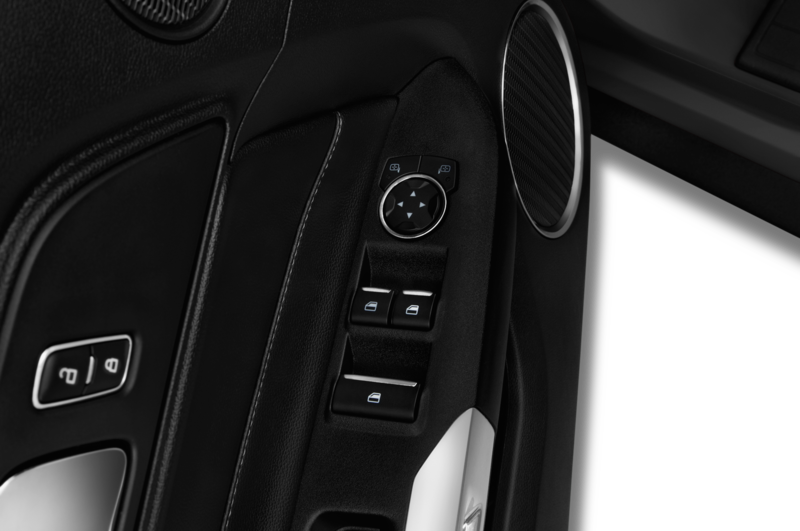 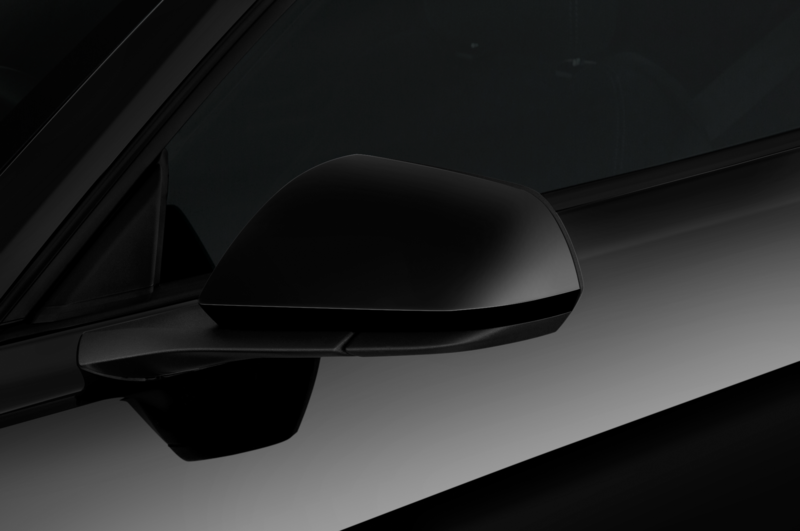 It’s fully customizable, offering different appearances, apps, and info layouts for any driving situation. 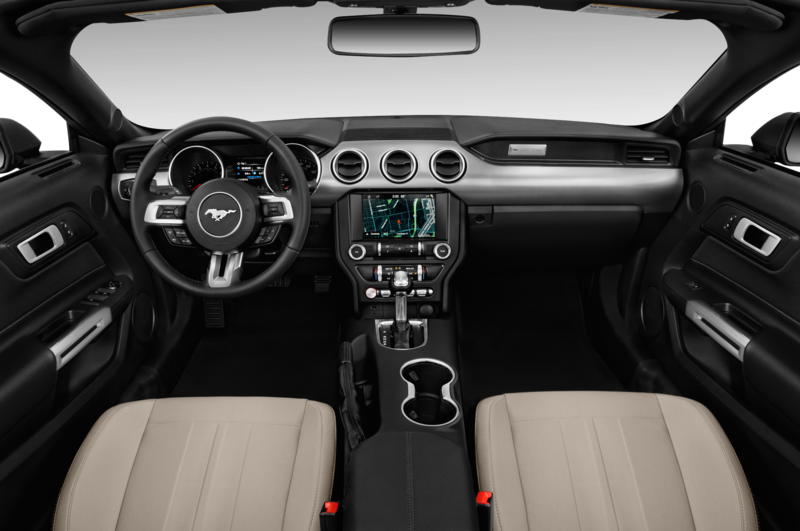 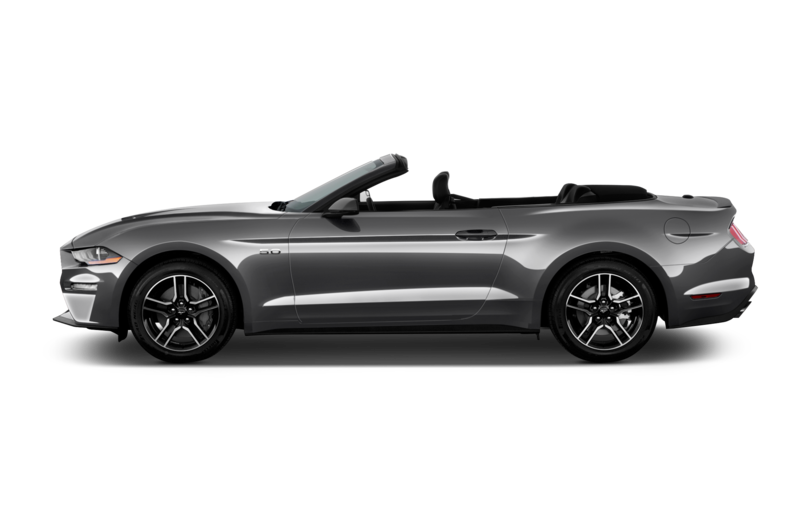 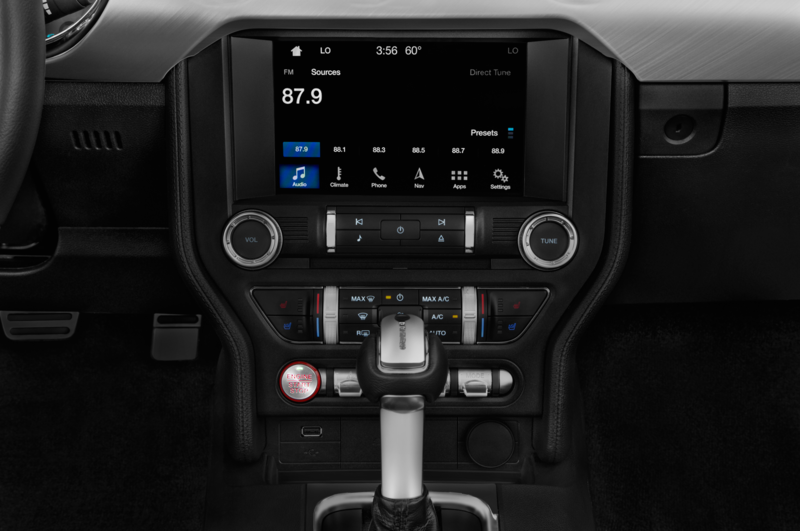 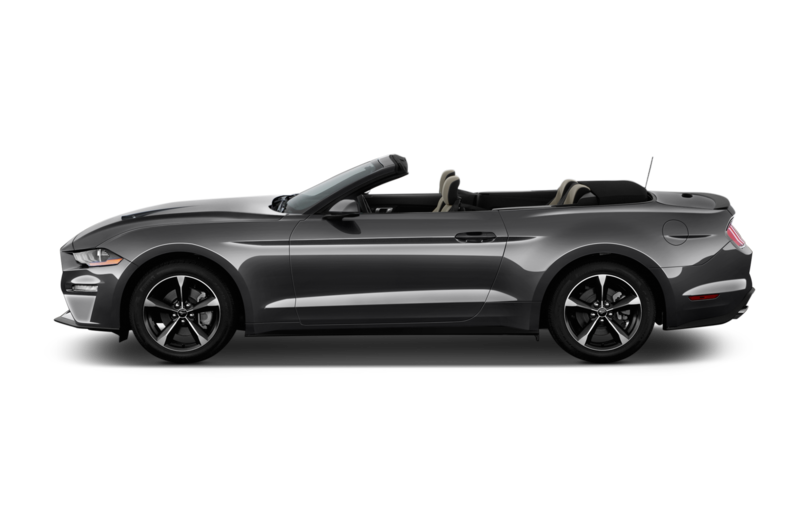 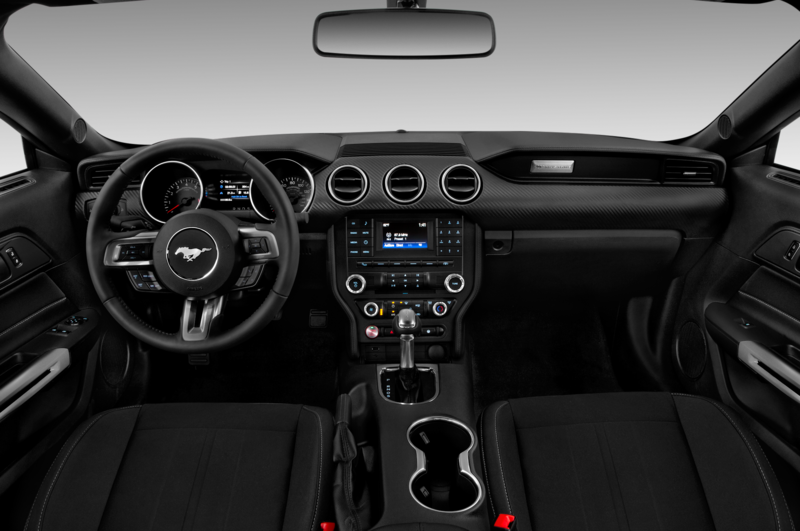 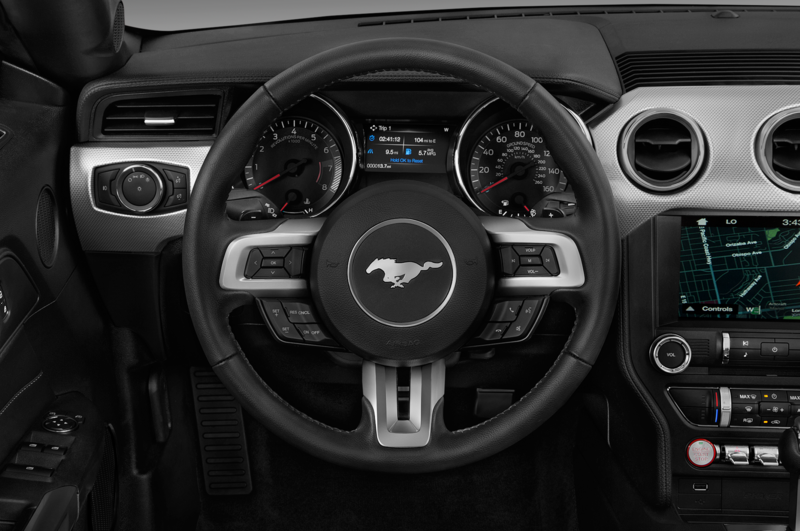 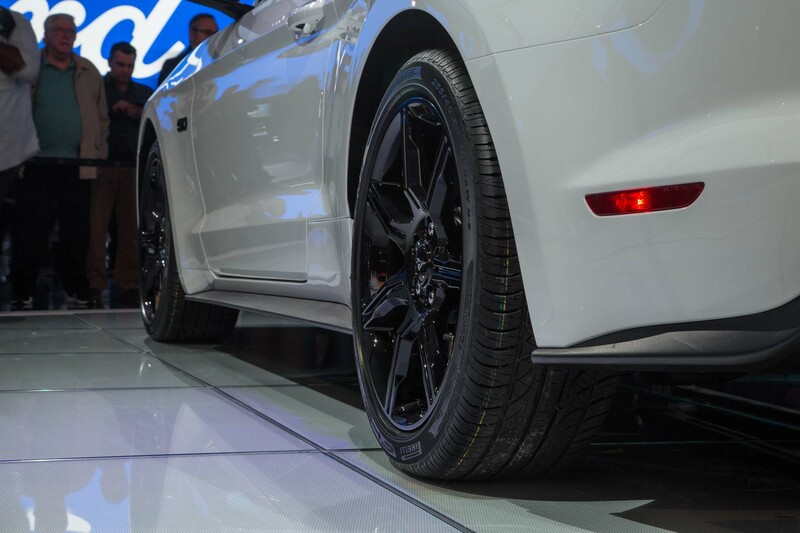 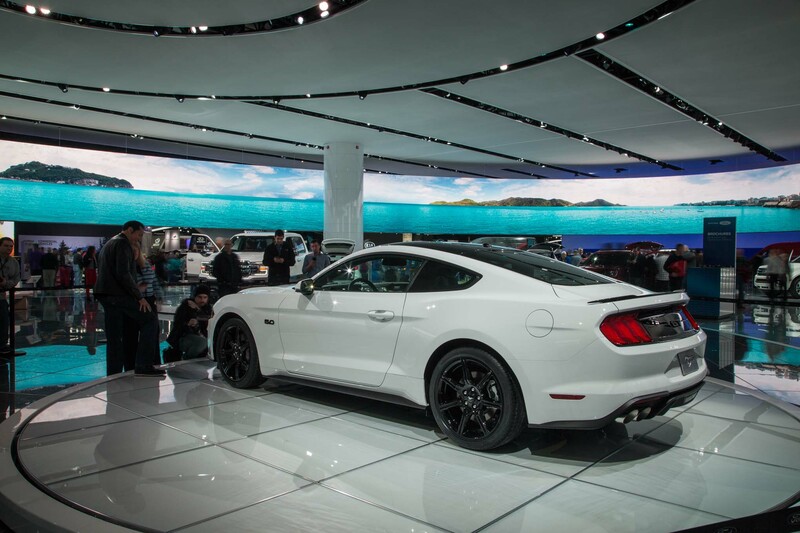 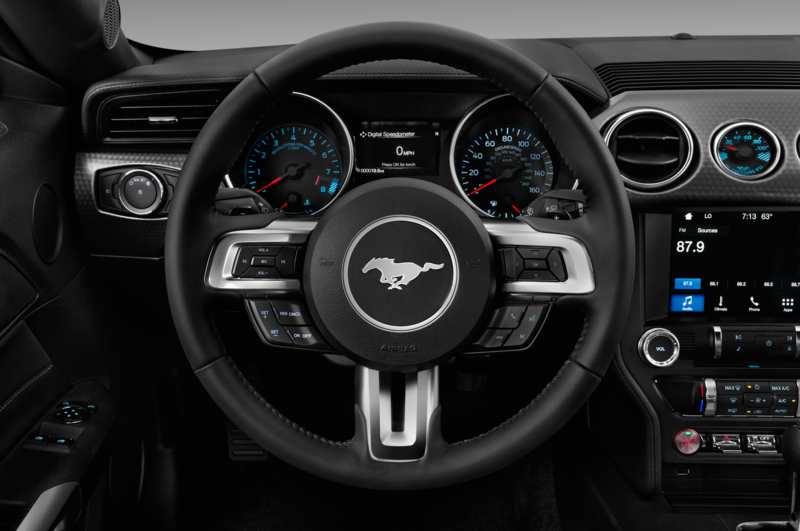 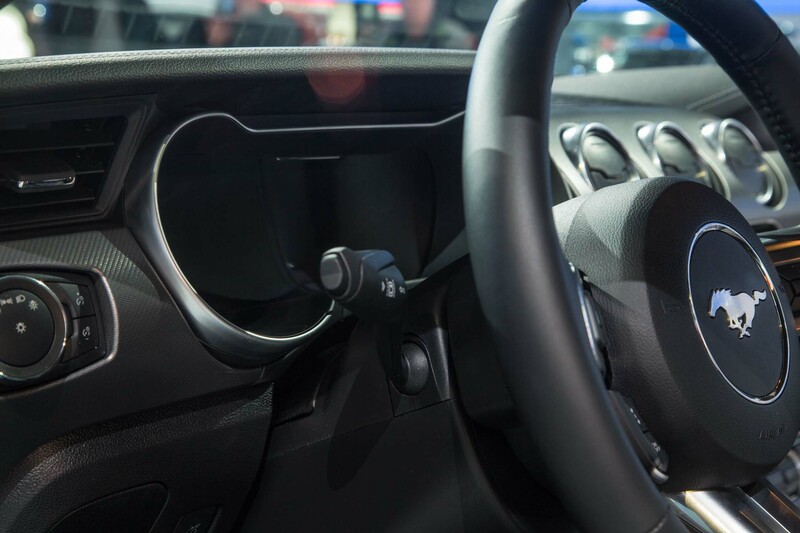 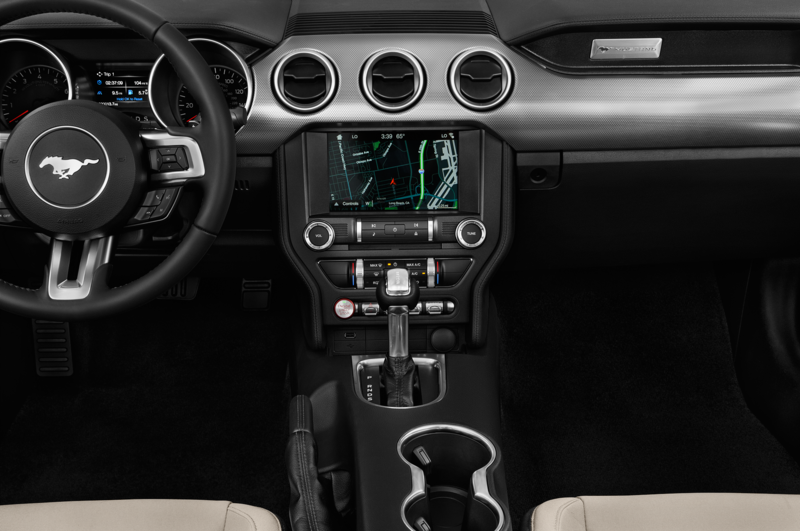 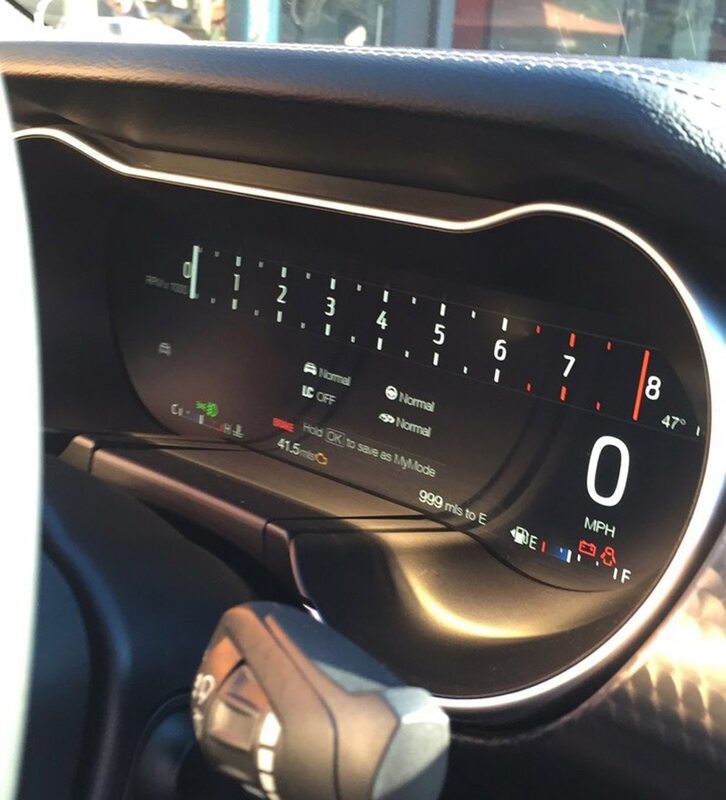 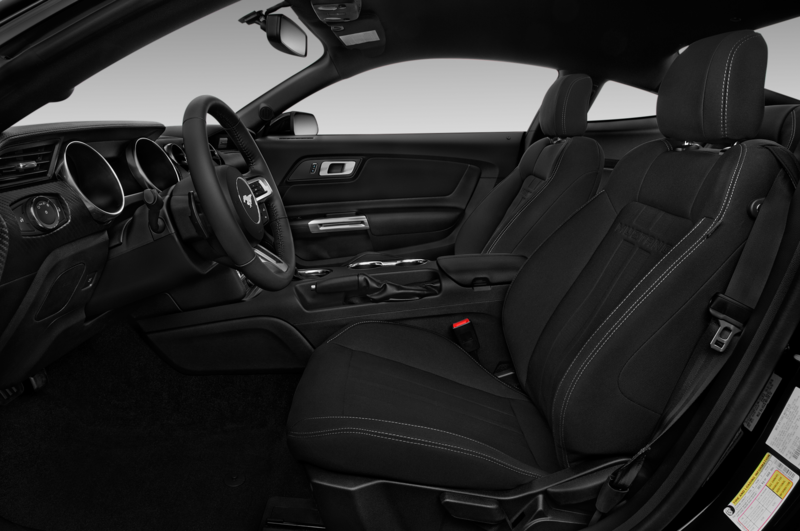 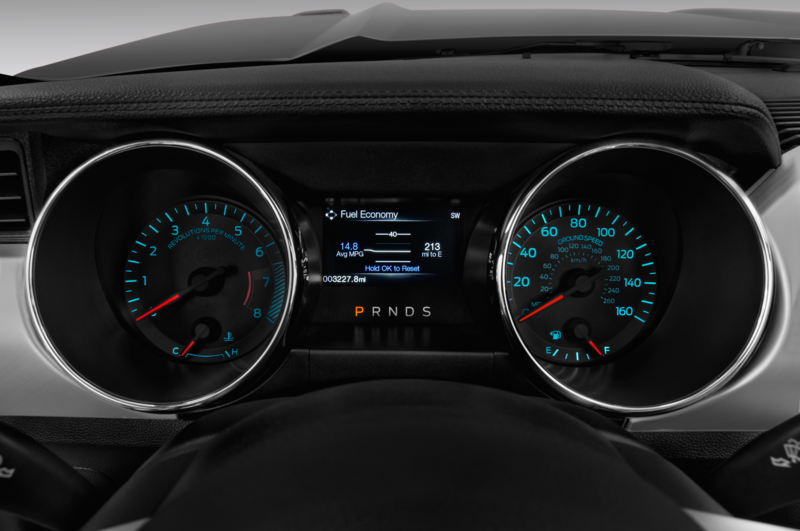 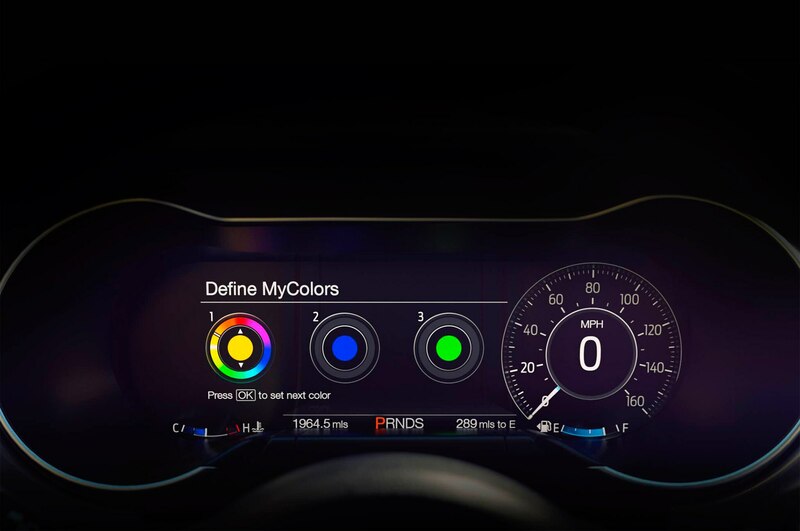 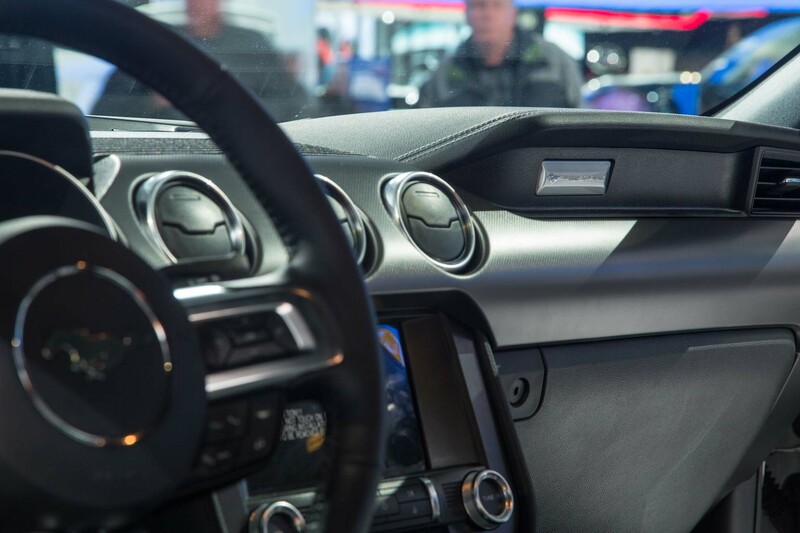 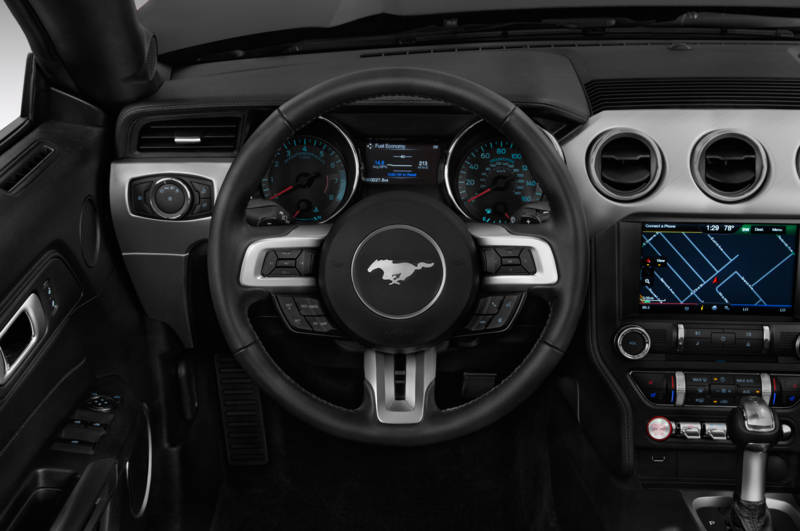 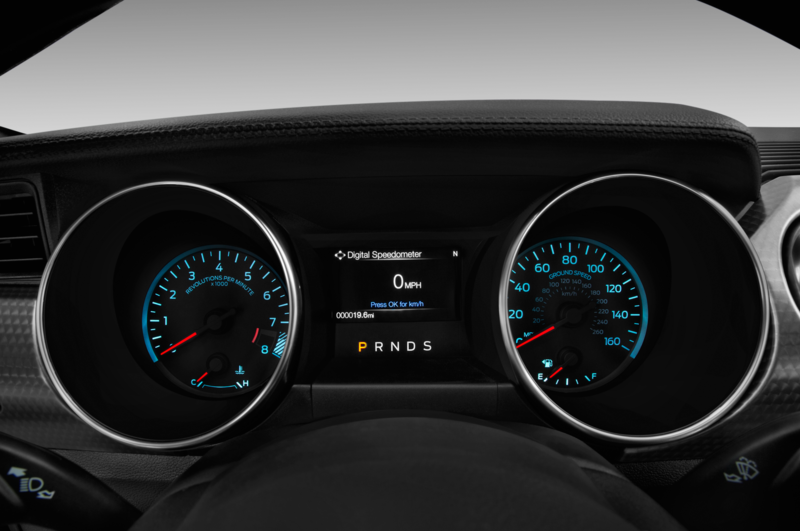 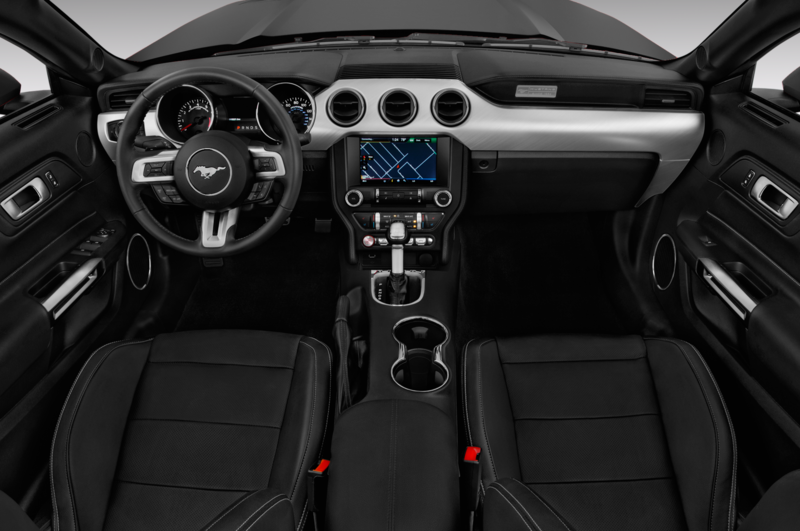 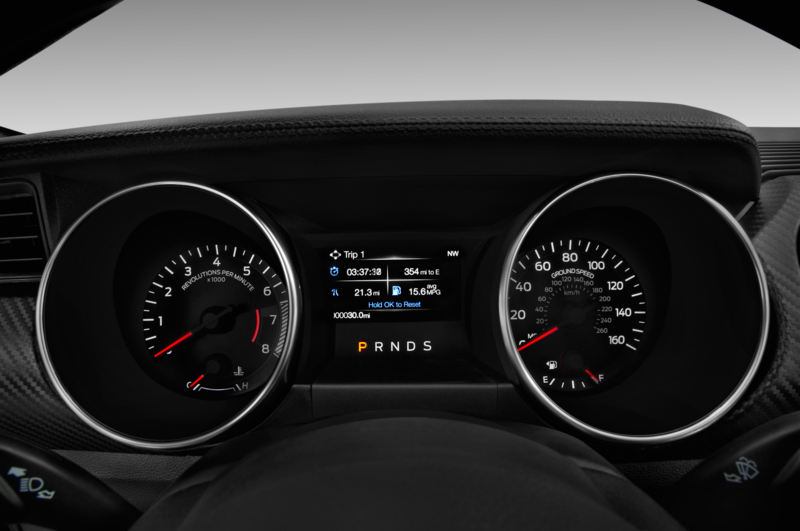 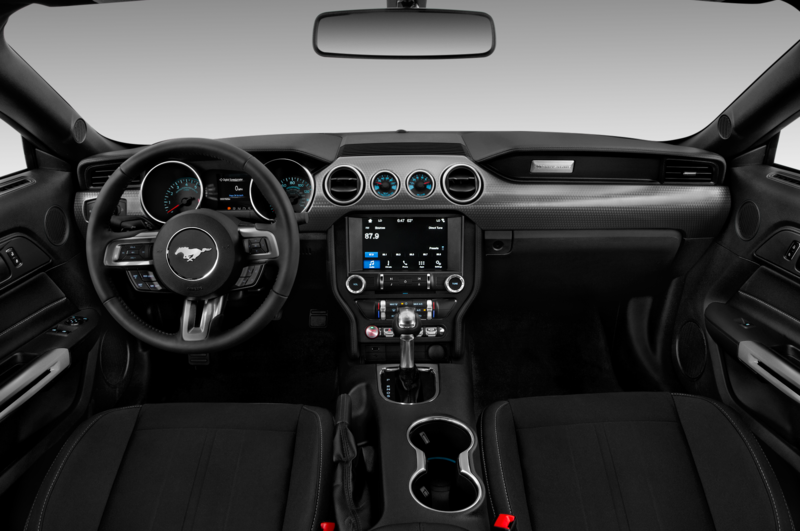 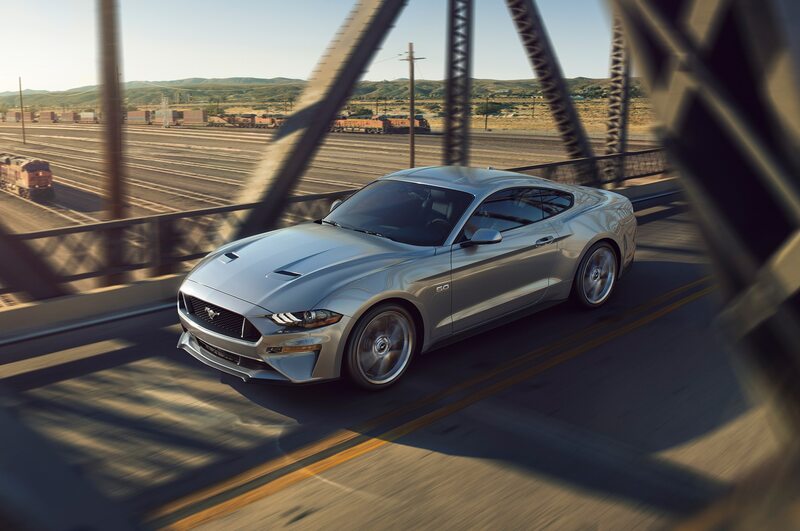 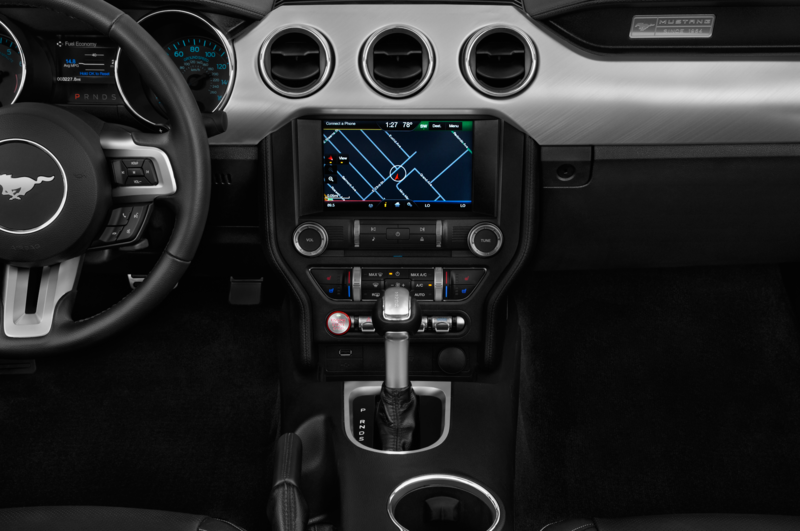 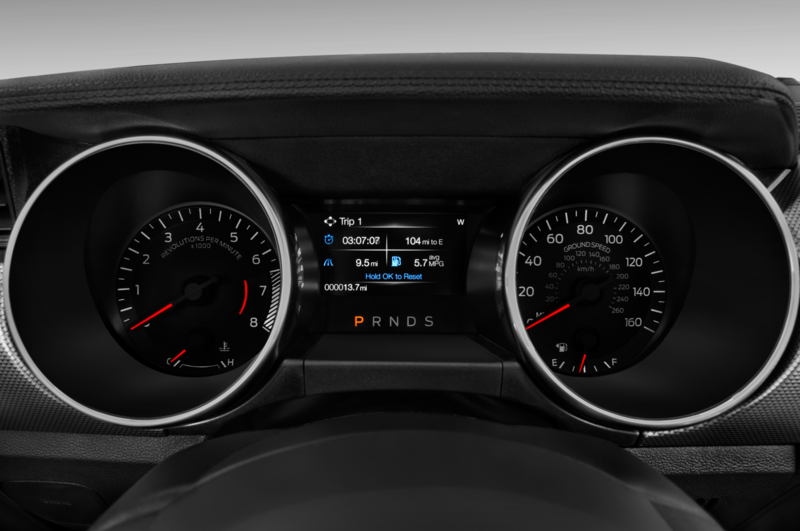 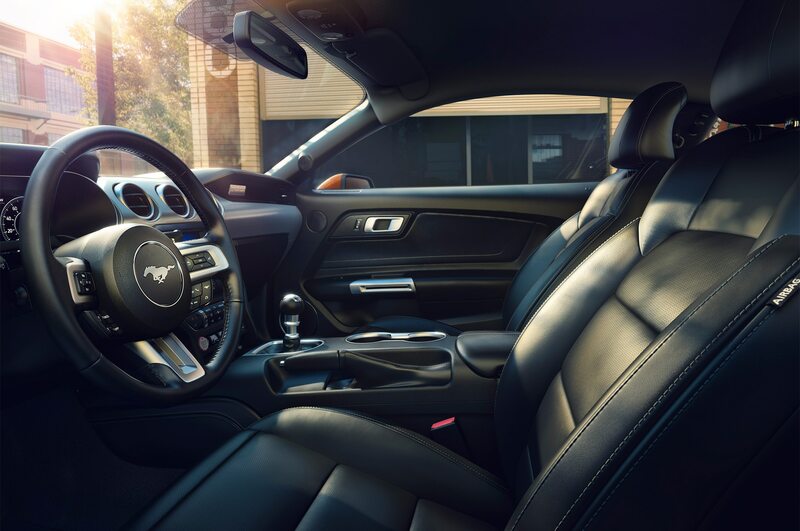 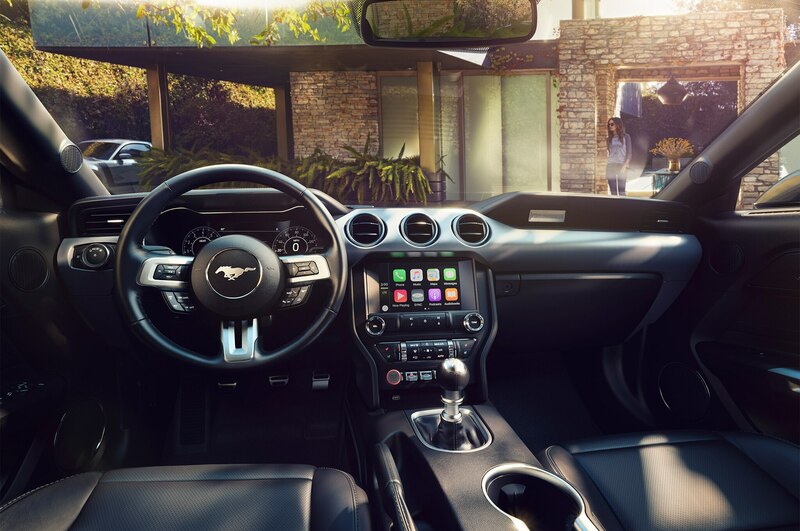 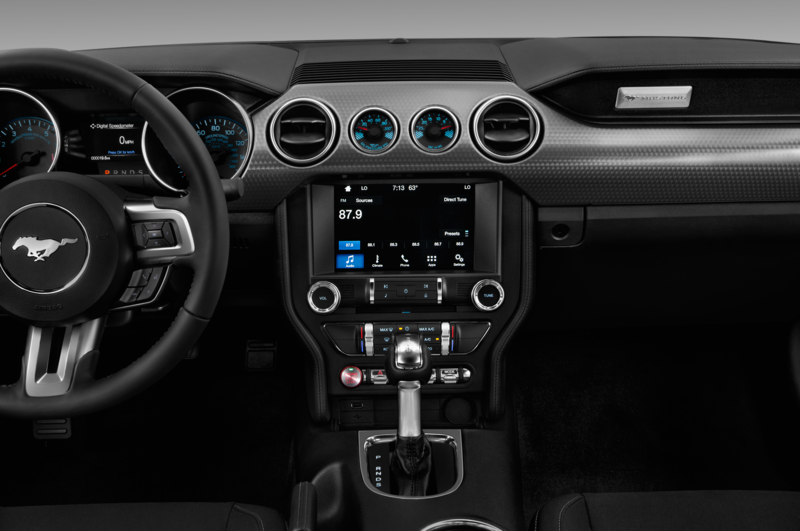 For the first time, the Mustang now offers a suite of driver assistance and safety features, including pre-collision detection, distance alert, lane departure, lane keep assist, and driver alert systems. 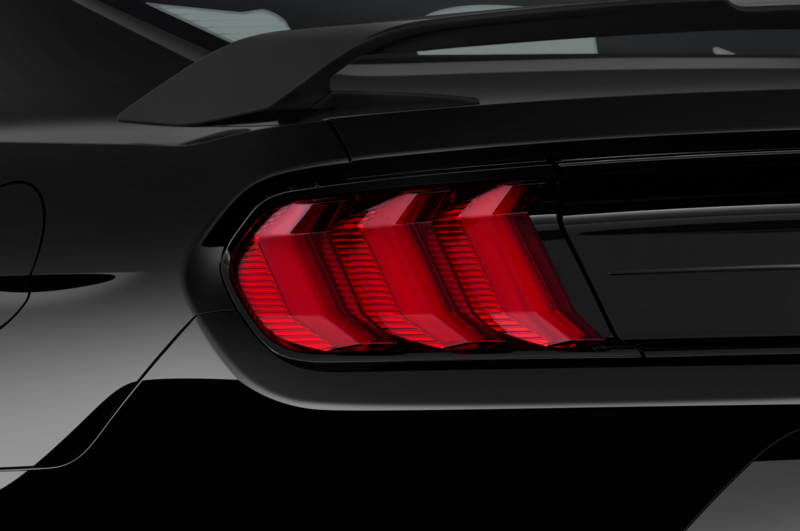 As usual, no pricing, official specs, or ordering options are known at this time. 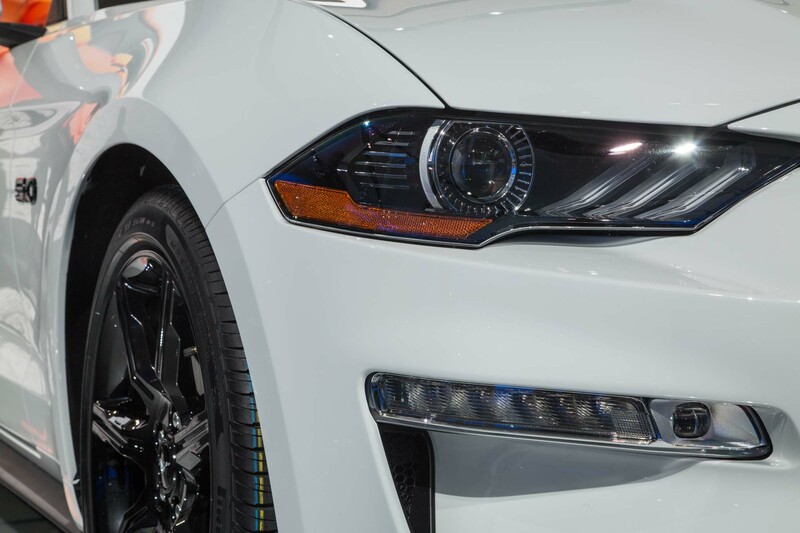 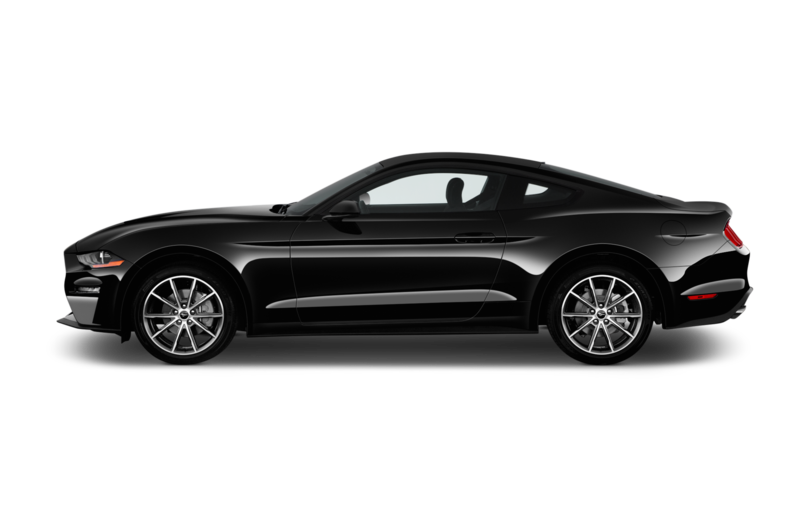 Look for more information on the 2018 Ford Mustang as we get closer to its on sale date this fall.